Howdy. 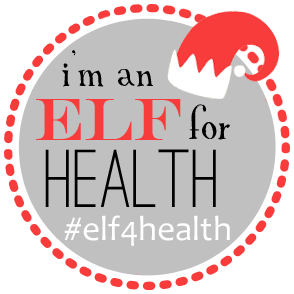 I have had a busy week and have some fun things to share with y’all. (Not sure where this urge to speak like I’m southern came from. I’ll blame it on Armita – who is from Austin). 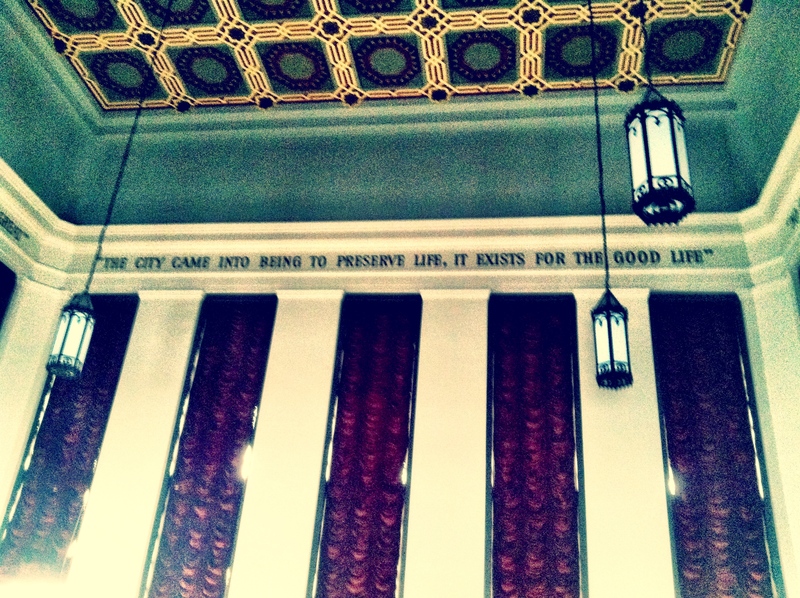 In the world of the Criminal Court where I work, things have been rolling along. We had a jury trial for a meth possession charge which, to everyone’s surprise, came back not-guilty. The evidence was pretty much that a cop stopped the driver and found meth in his lap. Interesting stuff. We also had a bench trial yesterday, where the judge determined that the defendant was not-guilty by reason of insanity at the time of the commission of the crime. 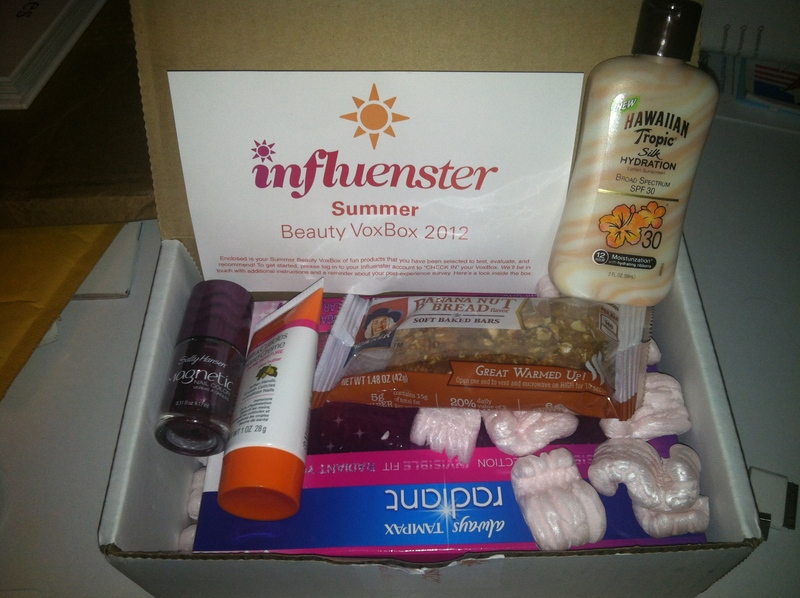 In other news, check out all the awesome products that influenster sent me to test! I can’t wait to dig into these products and review ’em. I’m probably the most excited to try the Quaker Soft Baked Bars (#foodieproblems) so keep an eye out for review in the future (although Influenster provided these items free for me to review, all thoughts and opinions expressed are my own). On Wednesday, some of the usual suspects and I gathered at Armita’s apartment for a little dinner and movie action. 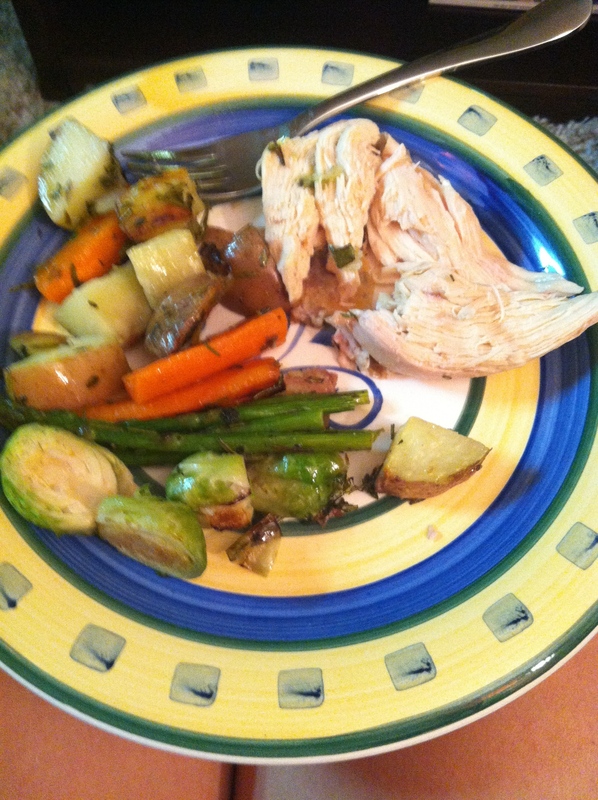 This is a snapshot of the epic feast she prepared – a whole chicken and tons of veggies. We also continued our Wes Anderson education by watching The Royal Tenenbaums. I loved it – it’s super quirky and bizarre, but the writing and acting are top-notch. On Thursday, my co-externs and I had lunch at the LA Farmer’s Market (our usual weekly tradition). 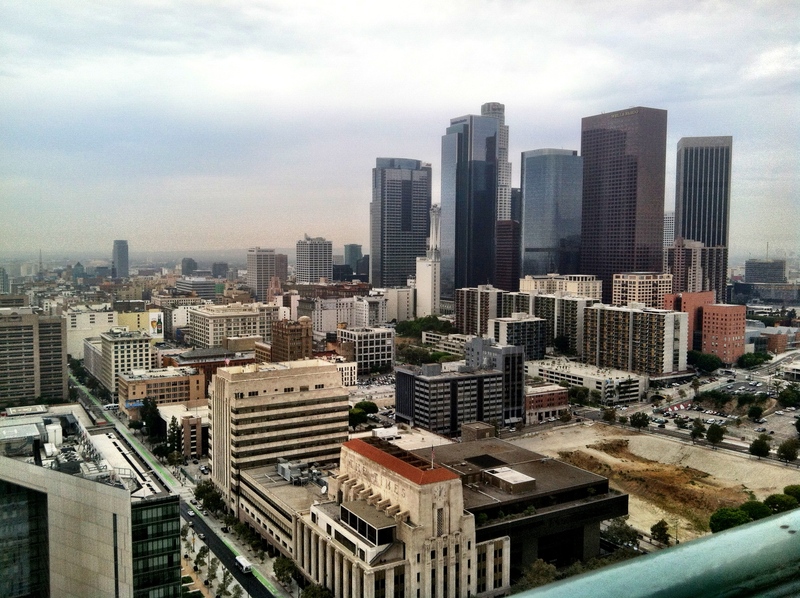 After enjoying some mediterranean food, we went to the observation deck on the 27th floor of LA City Hall to check out the views of downtown. The weather the last few days has been NUTS here – more monsoon like than anything else. We’ve had hot, muggy, wet days with RAIN! It’s July in Southern California. I have two thoughts on this: 1. Global Warming is real. 2. If I wanted to live in Florida’s climate, I would move there. Regardless, these photos illustrate that weather – muggy not smoggy. You can see the LA Times (foreground, center, with red roof). 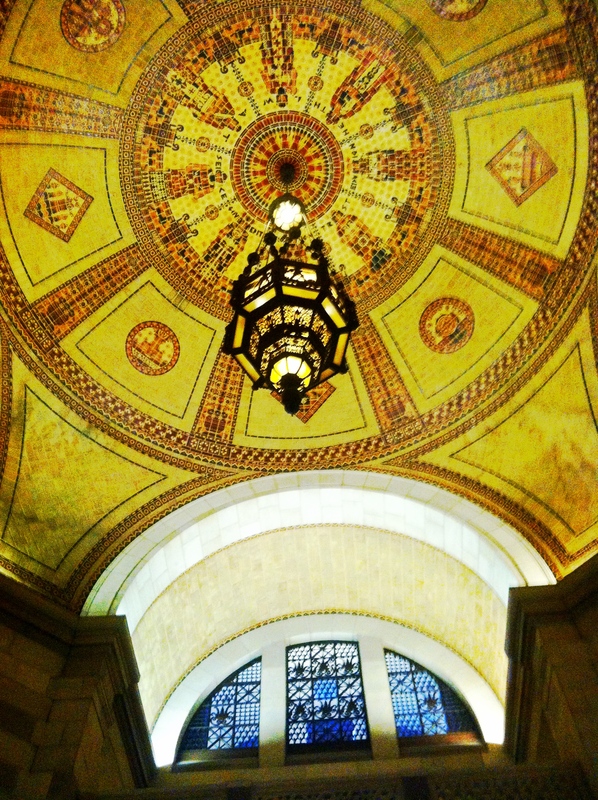 We were stunned by how gorgeous the interior of the building was. 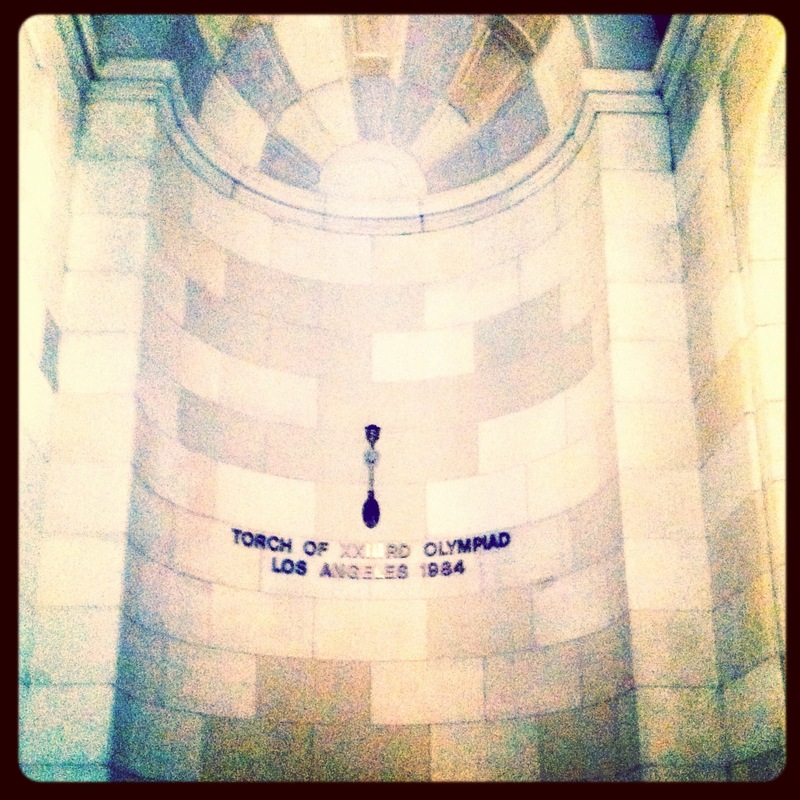 And I nearly fell over when I saw that the torch from the 1984 Olympics is in this building! Who knew! Literally a hidden gem in this city. 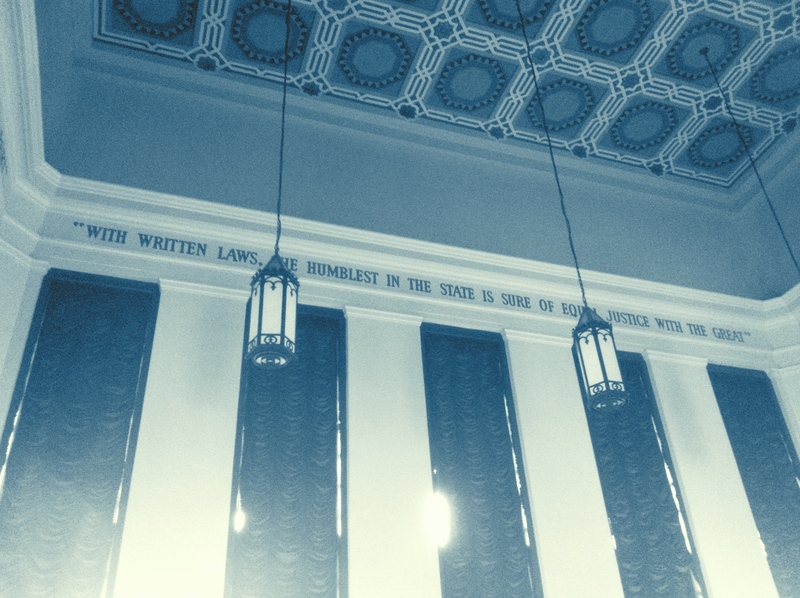 The rest of my night included a try-out for a Loyola Moot Court team. My fingers are crossed for this one – I’ll reveal more details if I get it, but I don’t want to jinx myself. 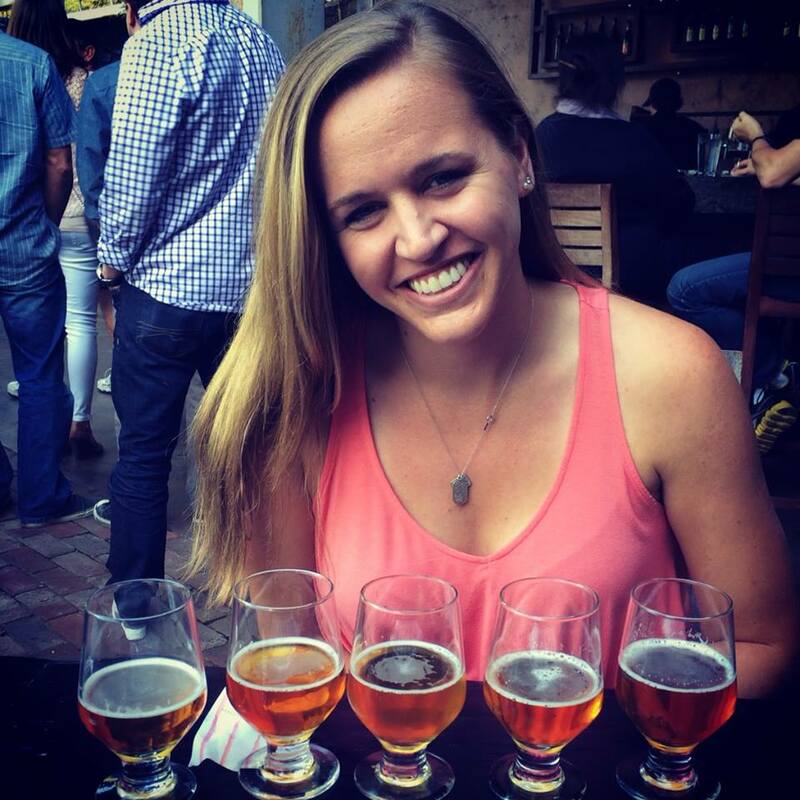 amy con su tinto de verano y su montadito favorito – el de chorizo y guacamole! I have another post coming about my fun-filled Friday the 13th. In the meantime, happy Weekend, everyone. Answer one of these, would ya? 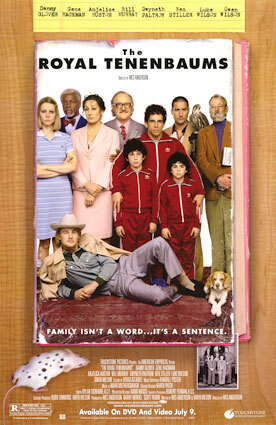 Thoughts on The Royal Tenenbaums? Are you an Olympics/Olympics memorabilia nerd? I remember collecting those fake coins that came in cereal boxes for the 1996 games, and when I was in Barcelona I was obsessed with the Olympic stadium. 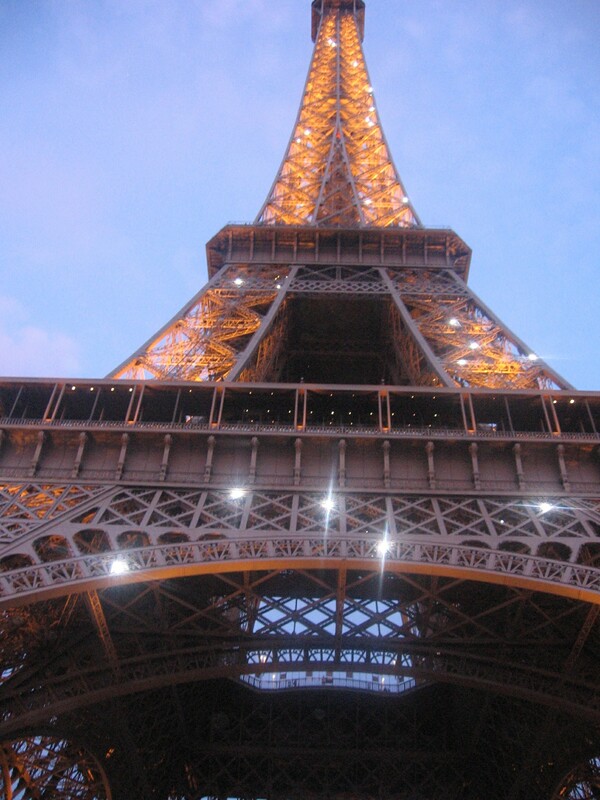 wanderlust wednesday [travel list challenge]. 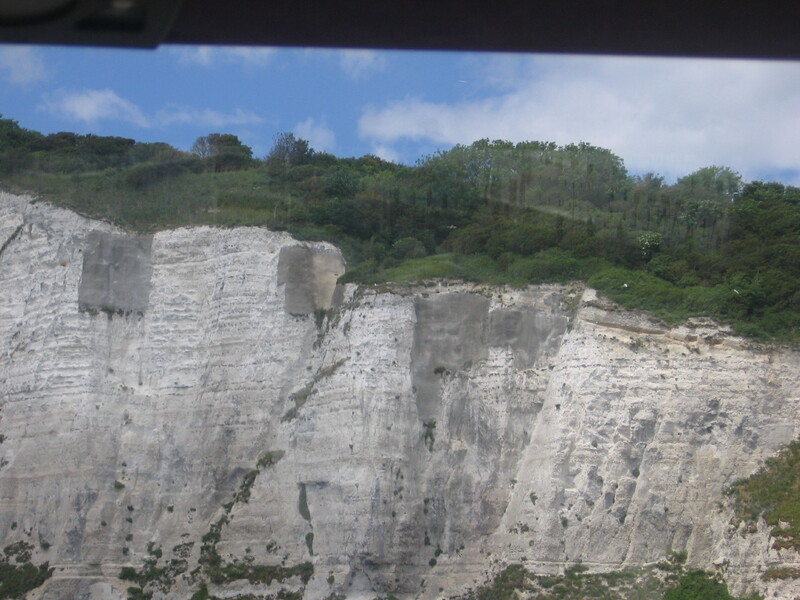 One of my favorite healthy living bloggers, Julie at Peanut Butter Fingers, crossed genres today when she posted her responses to the Travel List Challenge that is floating around the web these days. I love to travel, and it’s hard to believe that a year ago I was in-between trips to Mallorca and Ibiza, and planning one with a friend to Munich. 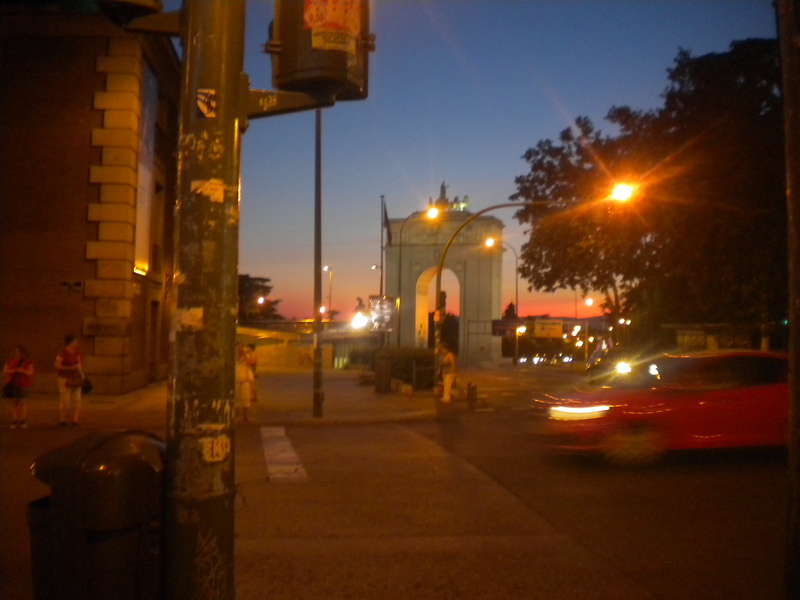 It seems like a lifetime ago sometimes, and when I daydream I miss the ability to jaunt to another country for a couple of nights (cheaply, of course) and to stroll Madrid’s broad boulevards at all hours of the day. So, since the only traveling I’m doing anytime soon is between West Hollywood and Downtown Los Angeles, I thought I’d follow Julie’s lead and post my answers to the Travel List Challenge. january 2009. (cristobal colon's tomb is here...epic). 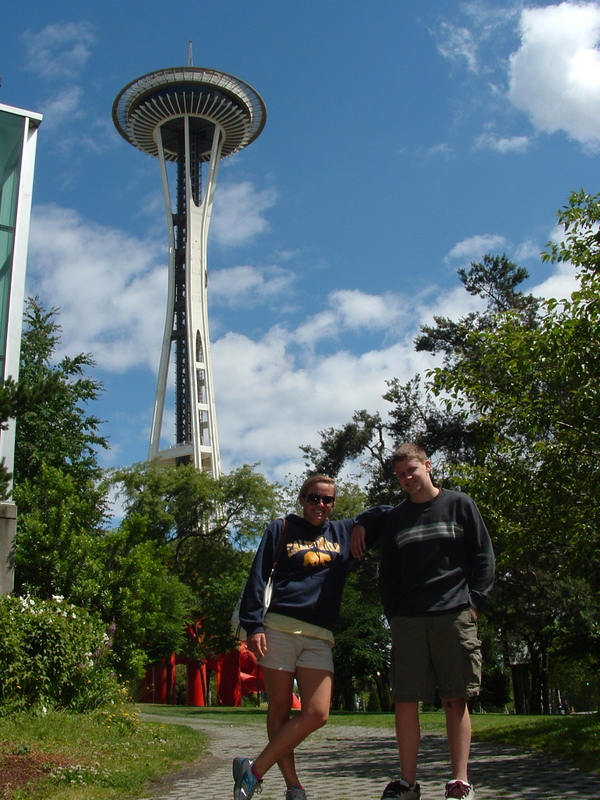 with my friend hannes, june 2006.
becca and me, april 2009. New York City, New York (I’ve been to NYC twice and just realized I have never been to the top of the Empire State Building! My mom and brother have, though, so there’s that). walking across with my friend Lily, May 2010.
roadtrip from Madrid, november 2010.
drinks at a rooftop hotel off las ramblas with my aunt, june 2011.
january 2010. one visit of many. 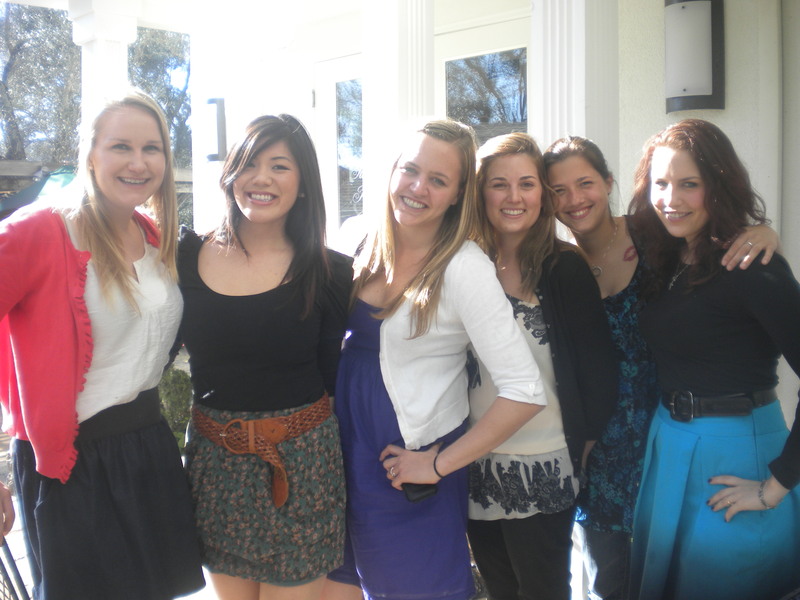 with my a-chi-os april 2010.
moved to madrid! 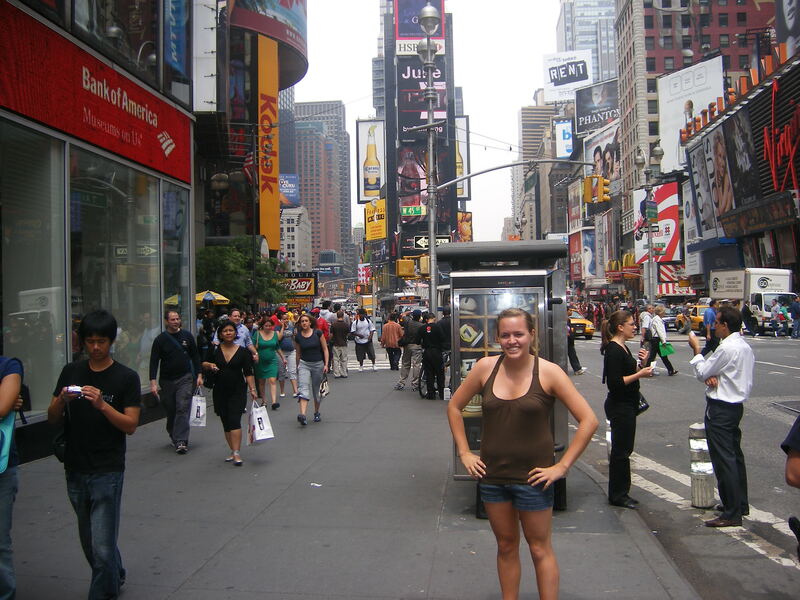 september 2010.
my home for four months. jan-april 2009.
trip with my dad, summer 2008. 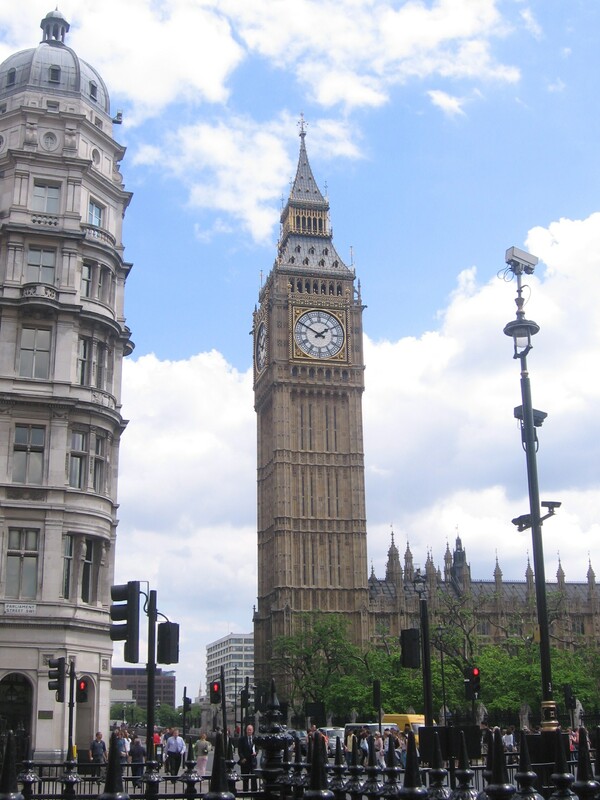 How many of the 100 have YOU been to? Leave your number in the comments! I’ve made it to 30 places on the list! Not too shabby…but lots more to check out. 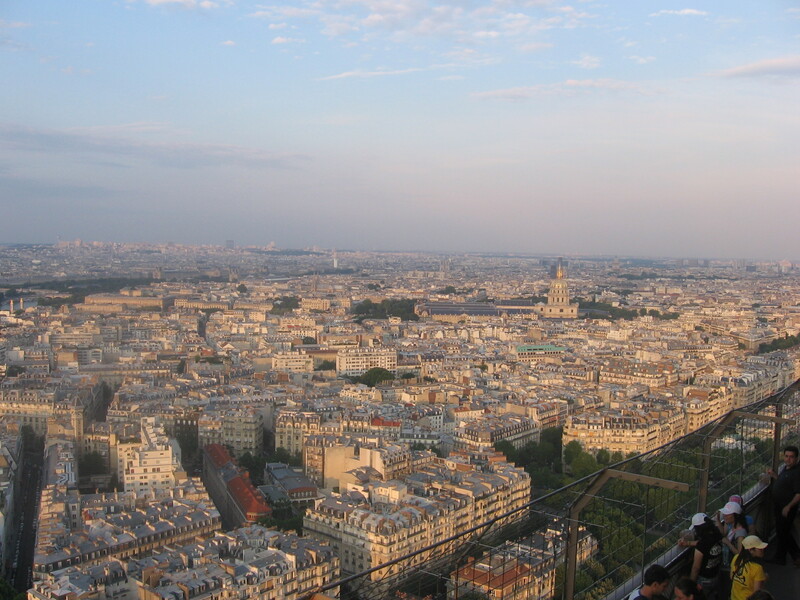 And top 3 places you haven’t been to that you’d like to make it to? 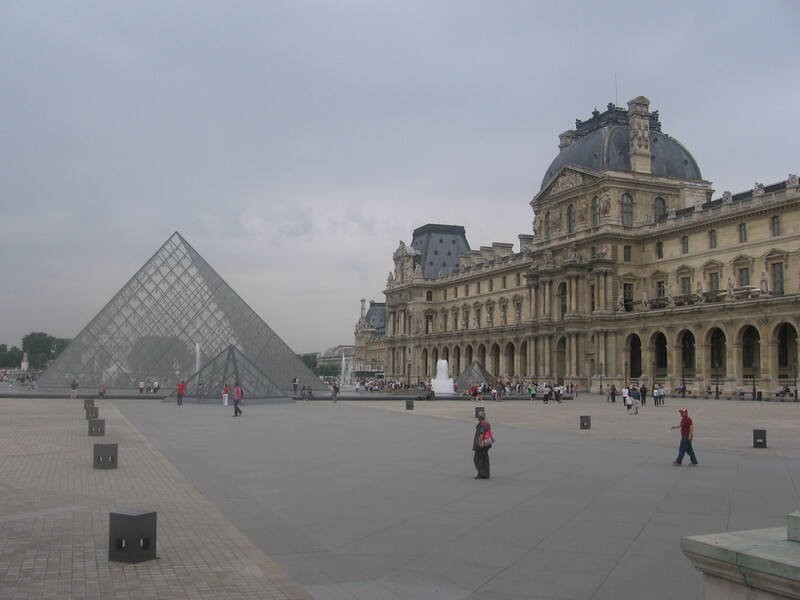 Mine are Christ the Redemeer in Rio de Janeiro, the French Quarter in New Orleans, and the Pyramids in Egypt! I survived my Torts midterm on Monday! 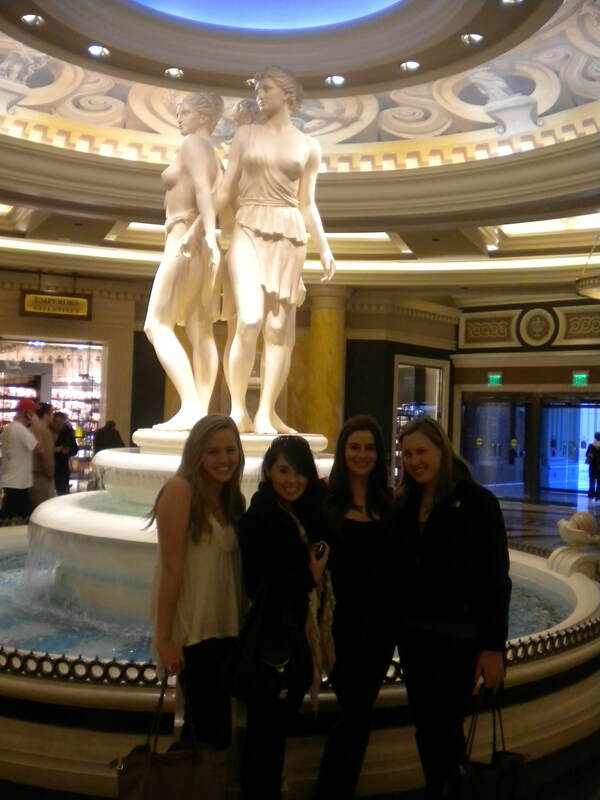 After 66 rousing multiple choice questions, my friends and I commenced the beginning of our super-short “spring break.” (I put spring break in quotes because we have work to do during it, but what else is new). 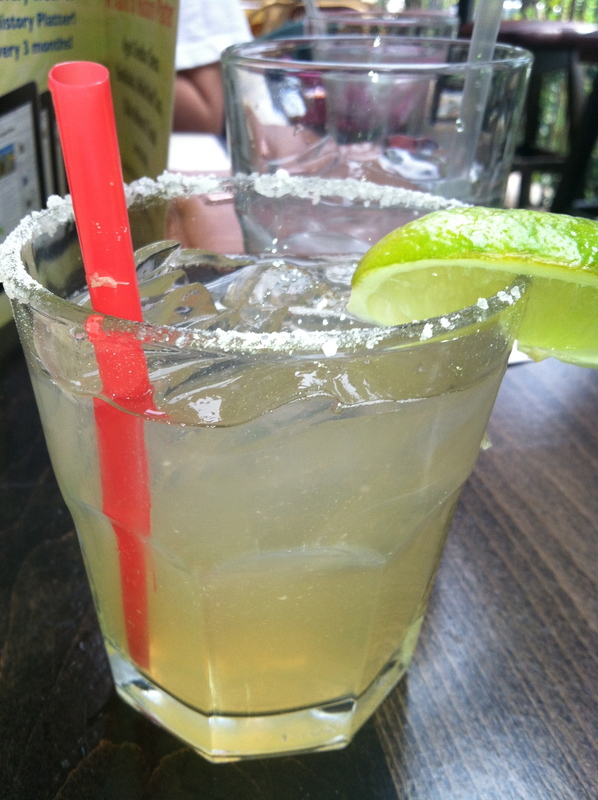 A group of my friends and I headed over to El Cholo downtown for necessary margaritas. Later that night the revelry continued at The Churchill and St. Nick’s on West 3rd Street. Tuesday night, Whitney and I headed over to The Farmer’s Market at 3rd and Fairfax to take advantage of a Bloomspot deal I bought back in November for a restaurant called Little Spain. 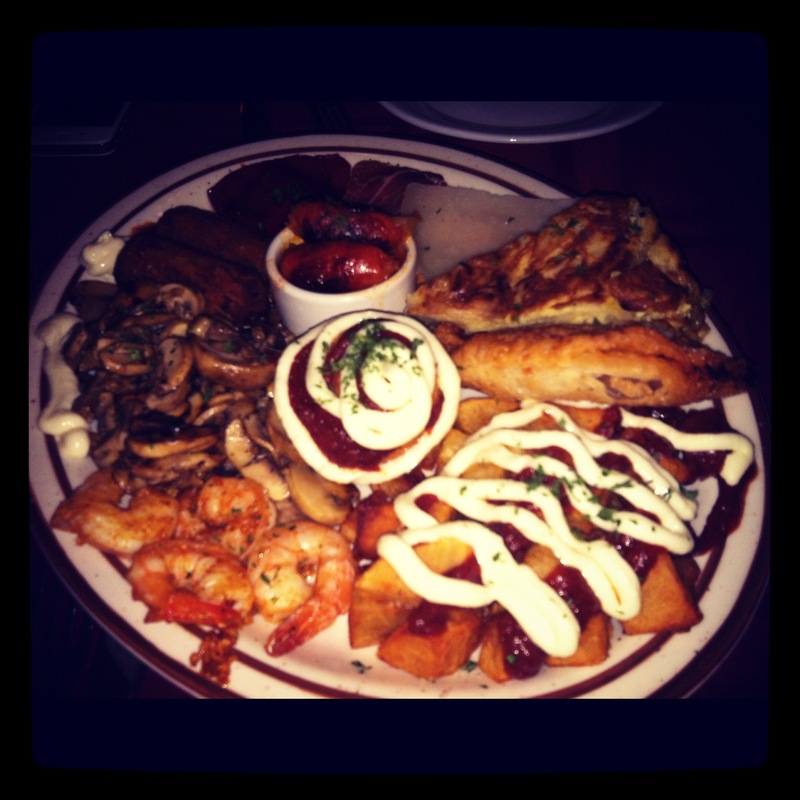 For $25, we got 2 “copas de Sangria” and a hefty assortment of (super authentic) Spanish tapas. 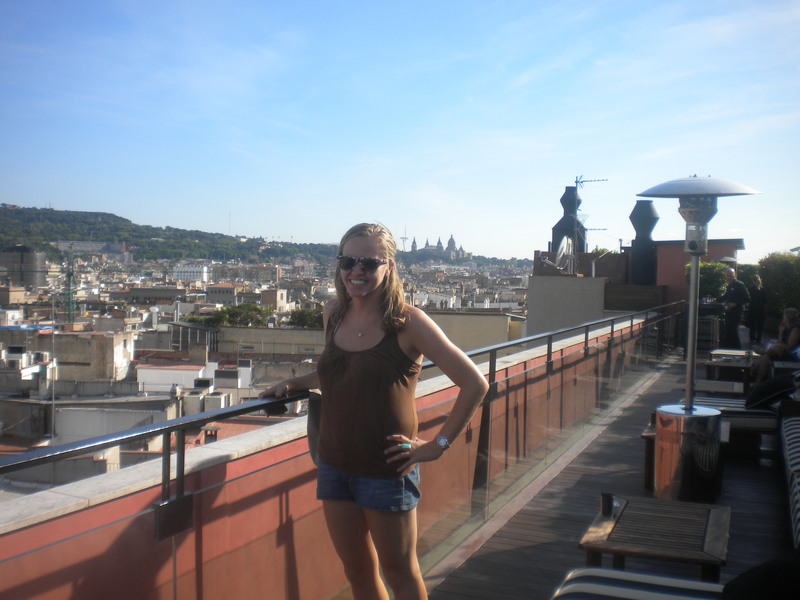 If you’ve been reading the blog for awhile, you know that I studied abroad in Barcelona junior year of college and then moved back to Madrid after graduation to teach English for a year. 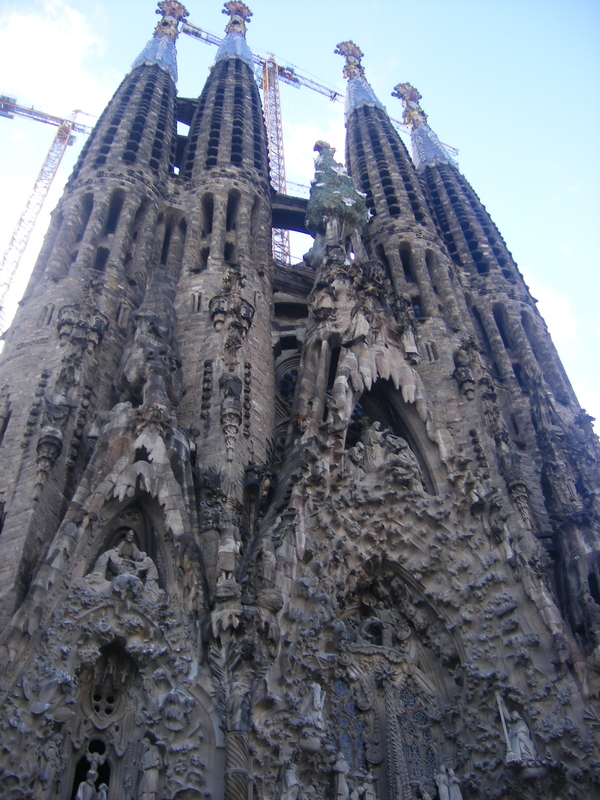 Spanish food is delicious – but I definitely over-dosed after 9 months of living there. Now that I’m back in California, though, it’s really hard to find authentic tapas like jamón serrano, tortilla espanola, and croquetas! I was beyond pleased with the selection at Little Spain! Barcelona's Parc Guell. aka my happy place. My last Spring Break restaurant outing thus far was lunch on Wednesday Downtown at Bottega Louie, a place I have literally been meaning to try for months. 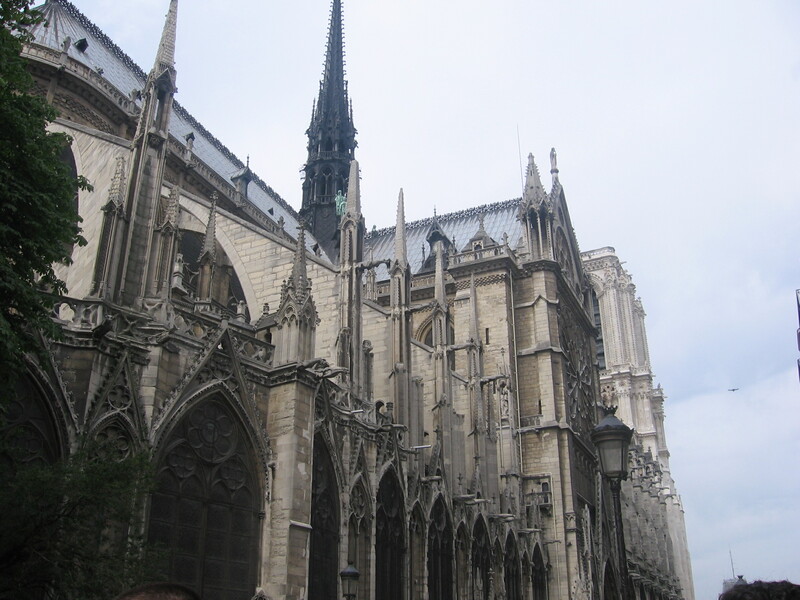 I read Lynn‘s review of it before we went, and was happy to see she said that it was pretty casual (it looks super frou-frou from the outside). My roommate Jenn and I met our friend from our sorority in college, Amanda, for a lunch (Amanda is on spring break this week as well from law school at Georgetown). 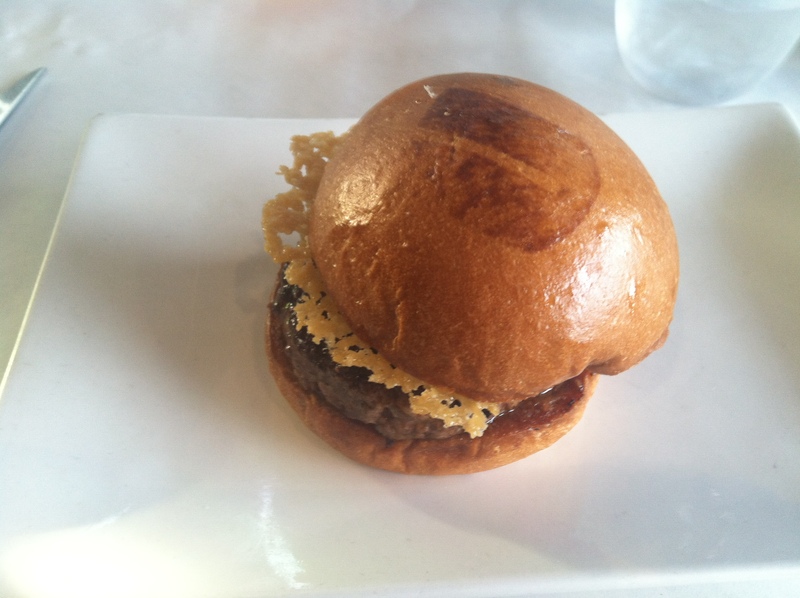 I was super stoked to try Bottega. We shared the Portobello Fries (INSANELY GOOD – a must), the [deconstructed] Ceasar salad, and a delicious Napoli pizza. 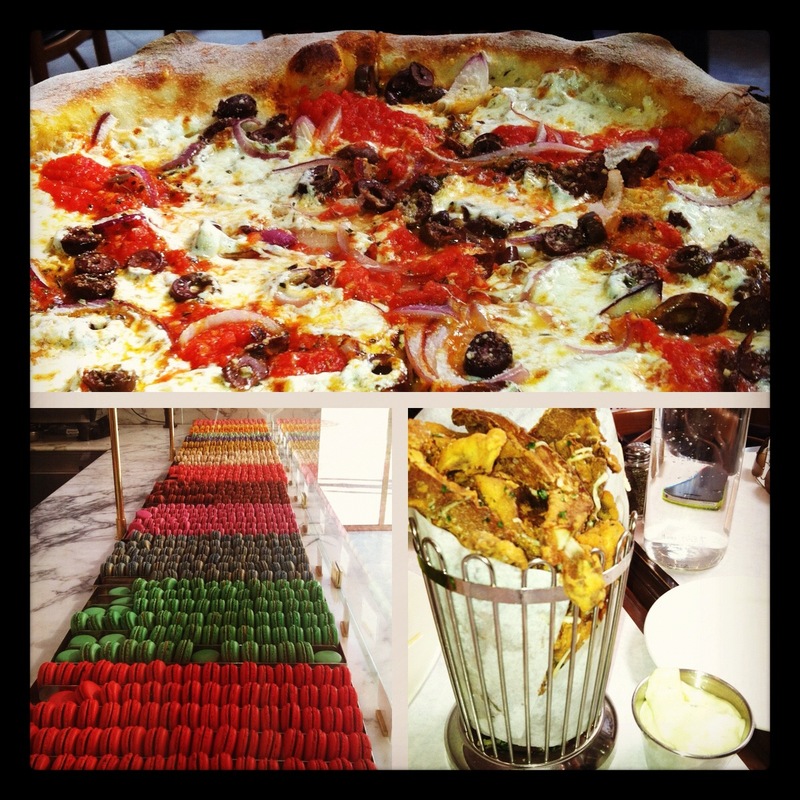 Pizza, Macarons, and Portobello Fries. On my way out, I picked up 5 macarons to bring to my parents since I drove out to the Conejo Valley to spend the night. I selected some intriguing flavors: Rose, Espresso, Chocolate Orange, Vanilla, and Salted Caramel. After cutting into a couple to try, both parentals elicited various words in the “yummmm” category. The rest of Spring Break will include running some errands (my MacBook Pro’s trackball function has been acting up), working out and doing a little homework, and a quick trip to Palm Springs this coming weekend! Look out for posts detailing my new favorite workout music and workouts [and where I’m at running wise] in the near future. two thousand eleven: the playlist. This is the song for January because the first time I heard it was when I was in Bilbao with my mom at a coffee shop the beginning of the month. 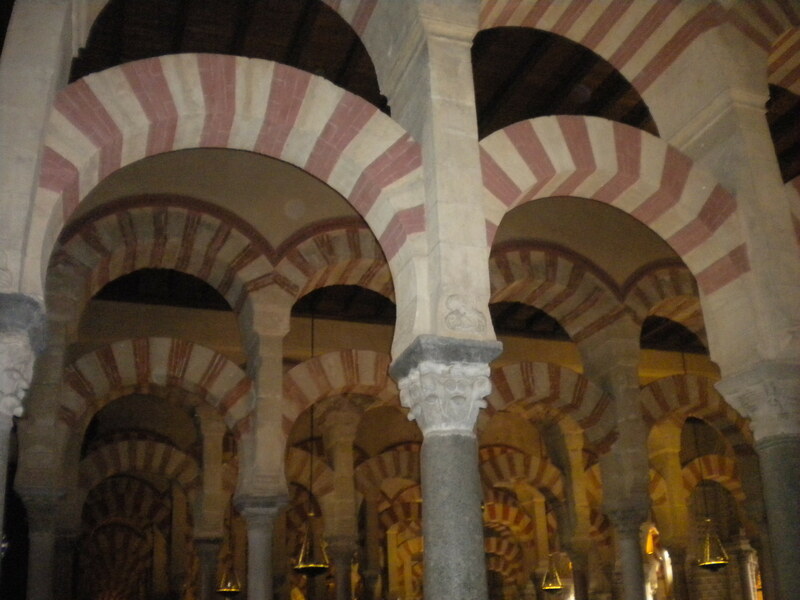 We also went to San Sebastian and Granada and had a great time together in all three (we both loved Granada the most, though). 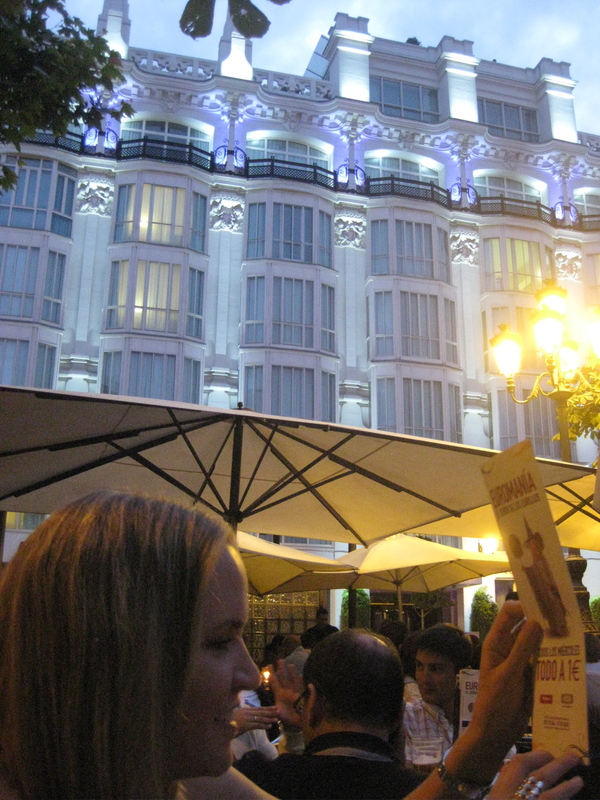 My mom wrote a guest post or two, I re-dedicated myself to long distance running in Madrid, and celebrated my 23rd birthday in Madrid with a night at Kapital (a 7 story club). 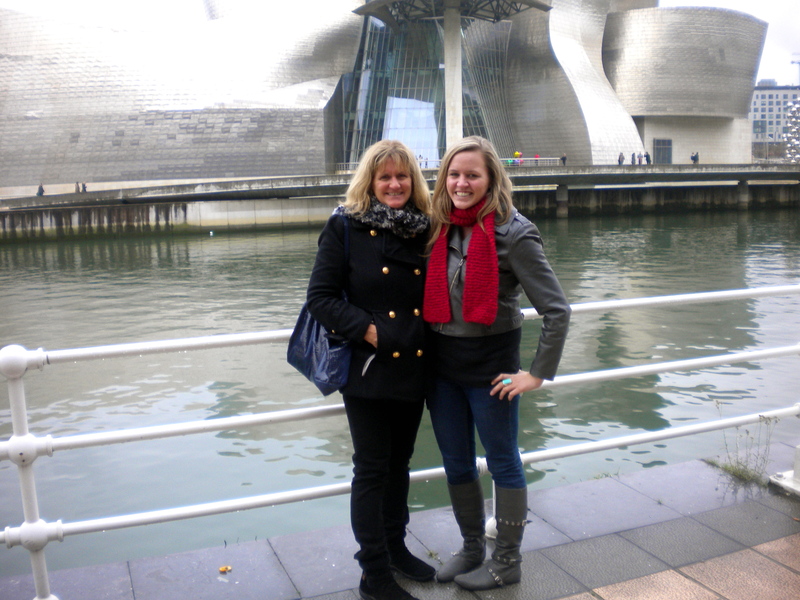 with my mom in front of the legendary Guggenheim in Bilbao. 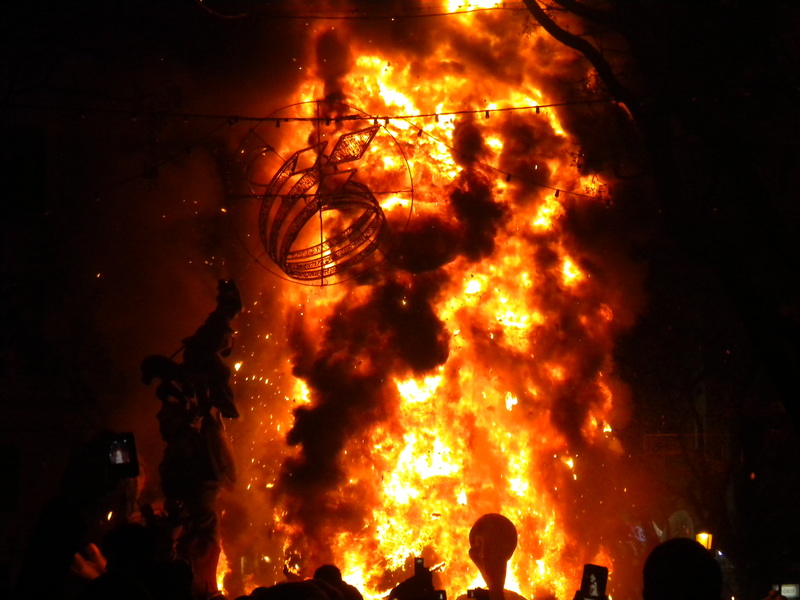 I am pretty sure that song was popular in the states long before I ever heard in Madrid, but that song reminds me of last February which was a short but memorable month. I bonded with the kids at my school and at my private lessons, immersed myself in Madrid and went to a Real Madrid game (despite being a Barça fan) and got in some long runs. 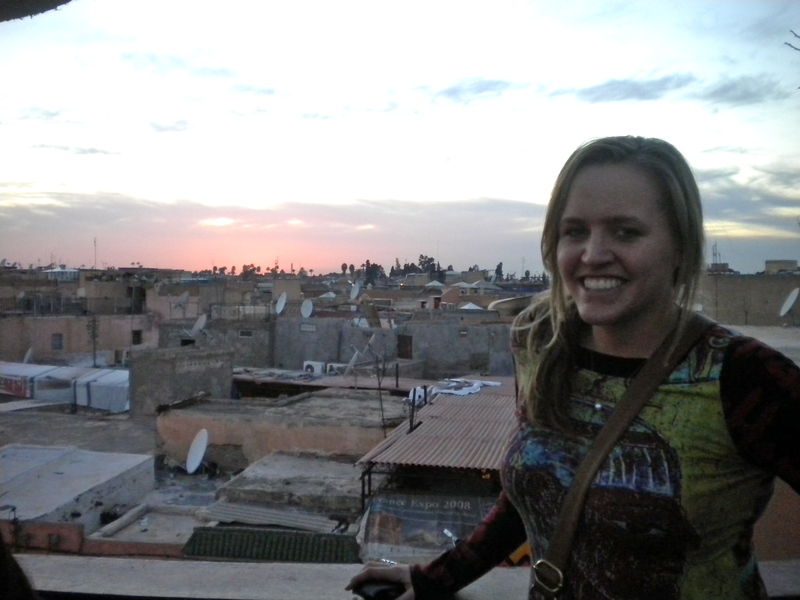 I also went on two fun trips: Marrakesch, Morocco, which remains one of my favorite excursions, and Tenerife, in the Canary Islands which was fun and beautiful. 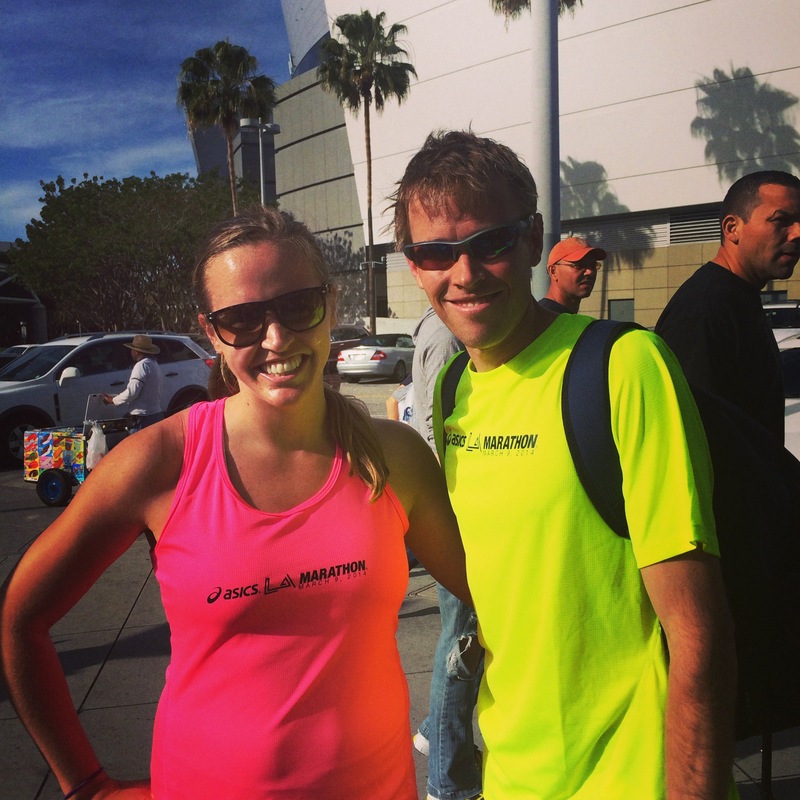 April was a fabulous month – I kicked it off by setting a PR in the half marathon in Madrid (my friend Hannes also ran it!) 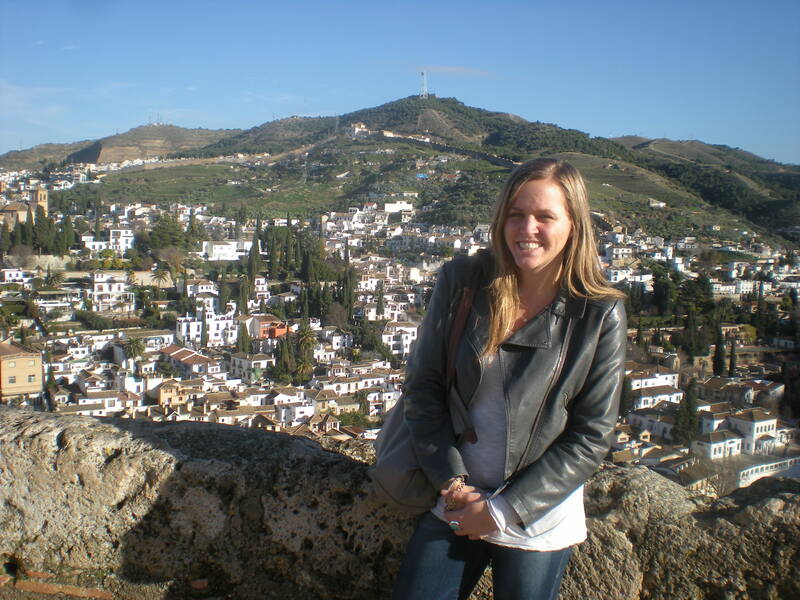 I also developed my intense love affair with 100 Montaditos, went to a typically Spanish capea and tried to fight a bull, and traveled to Mallorca and Barcelona with my roommates and friend Krisse who was visiting. 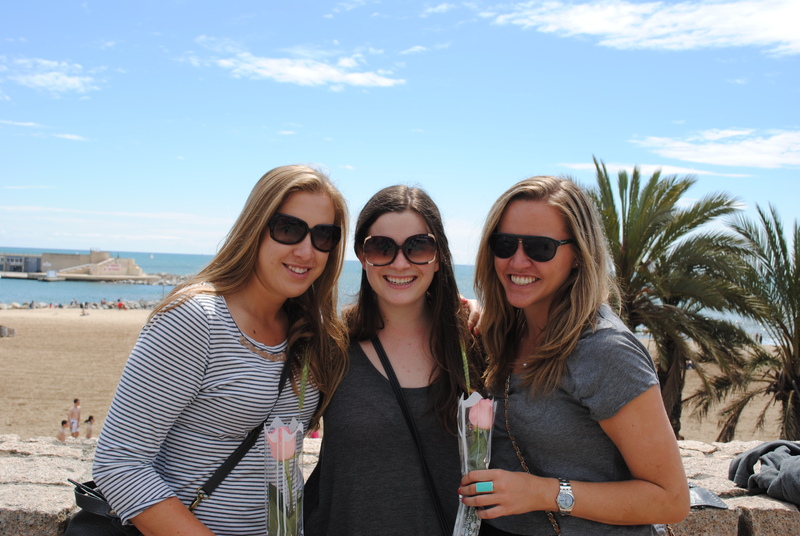 I specifically loved spending one of my favorite holidays, Dia de San Jordi, in my favorite city in the world, Barcelona, with my friends Krisse and Lily. 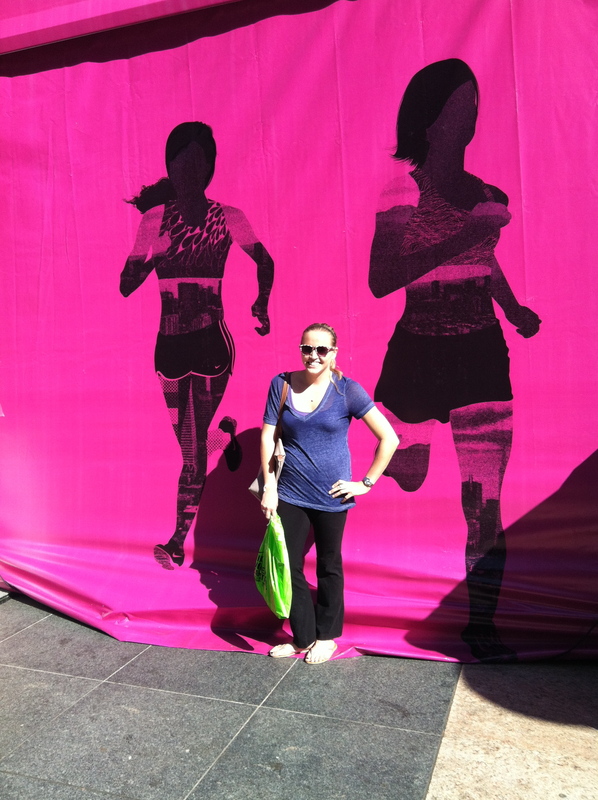 I also became more involved with the blogging world in April and signed up for the SF Nike Women’s Half Marathon! 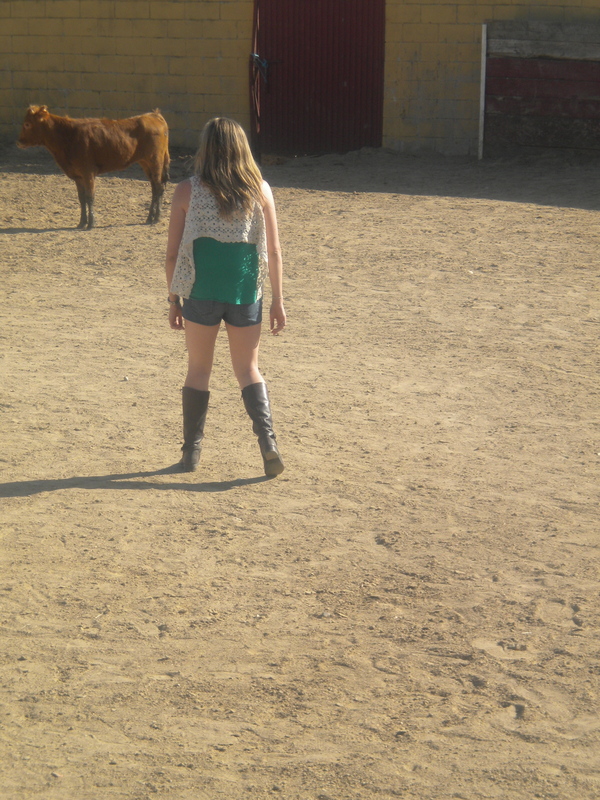 dia de san jordi with krisse and lily. I picked this song because I heard it at Pacha Ibiza when I was there for a few days at the beginning of the month. 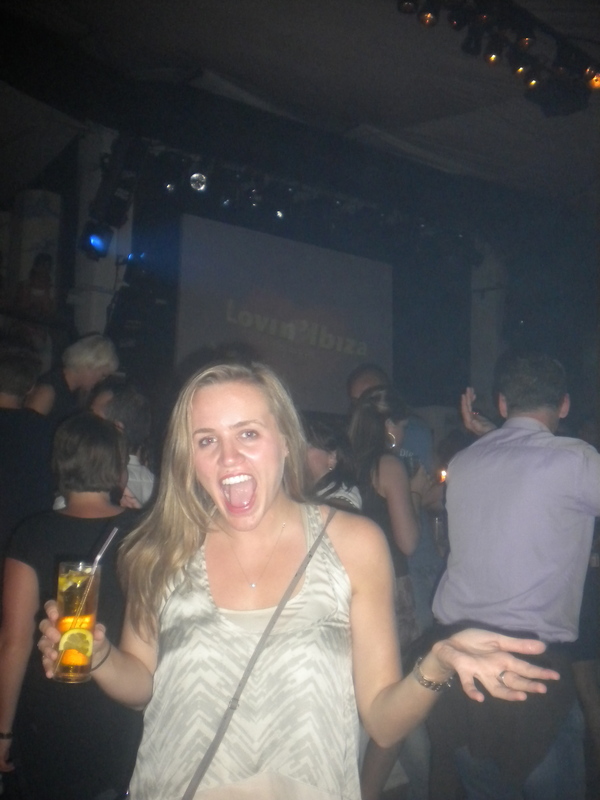 Ibiza had been on my list fora few years and it was awesome – gorgeous views and insane nightlife. 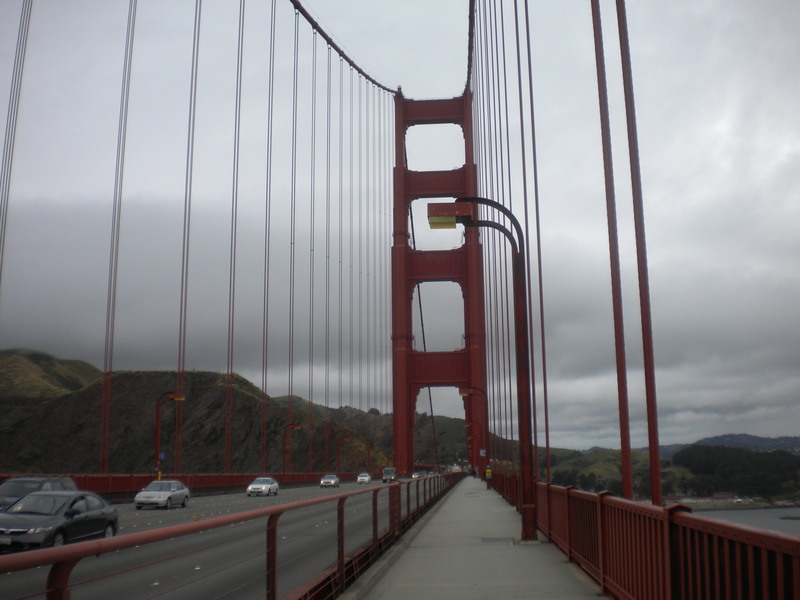 I need to go back sometime during busy season (late May – September). 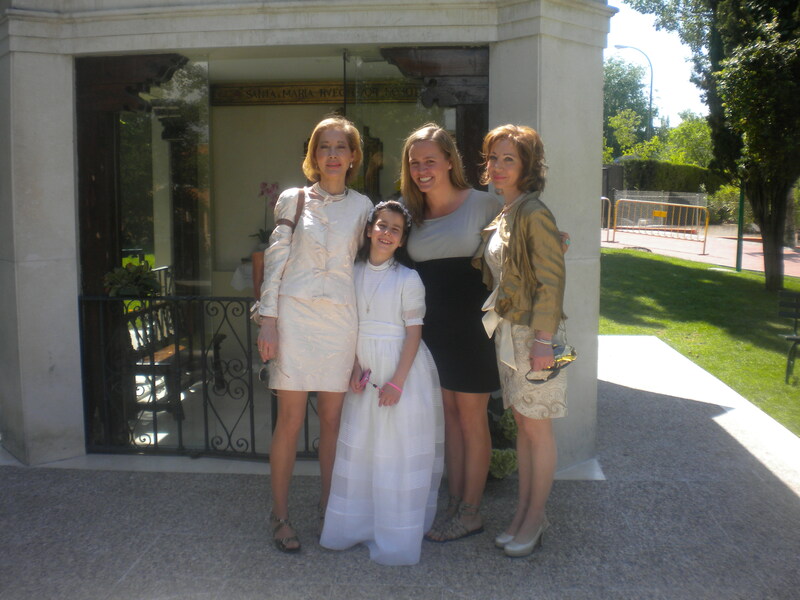 I also went to the first communion of a girl I tutor, Gracia, which was fun, experienced the pre-cursor to the Occupy Wall Street movement, 15-M in the center of Madrid, and I did a 10k with my roommate, Kerren. 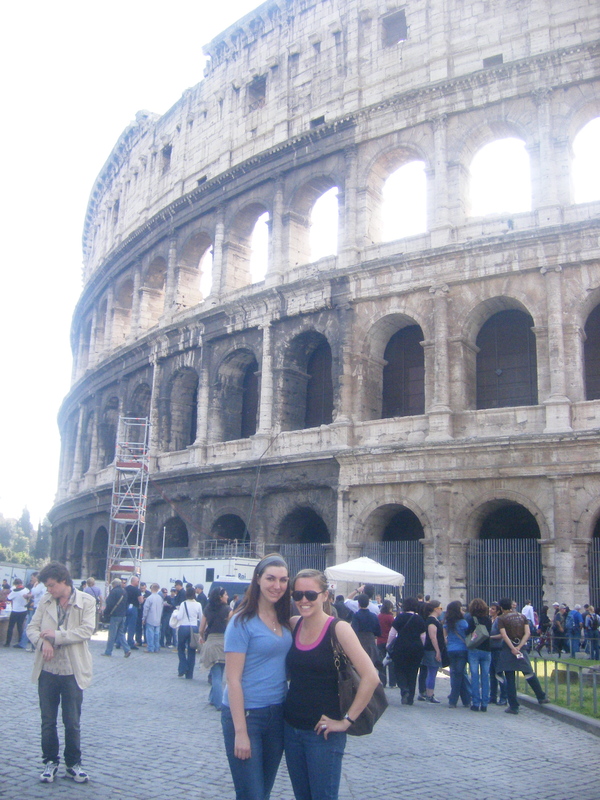 I also hit up the Madrid Open with my 1st and 2nd graders and hung out with my friend Michelle in Madrid. 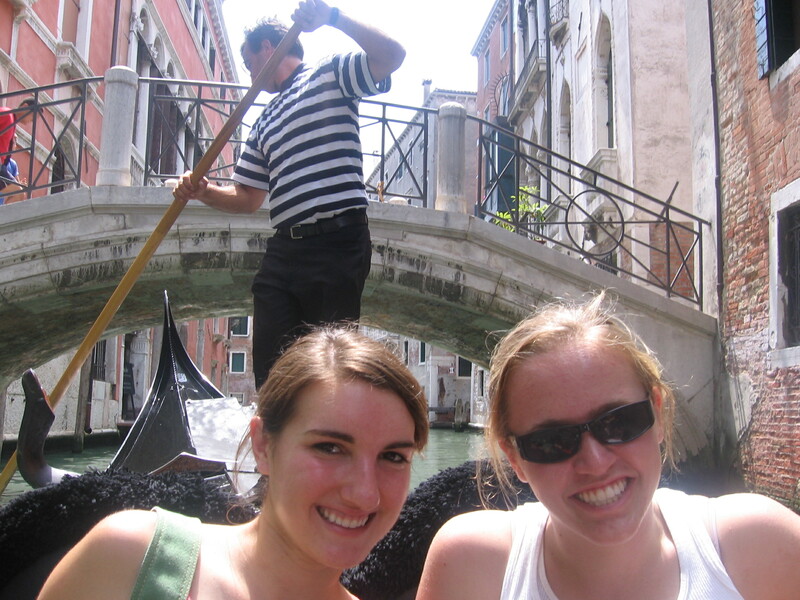 June was bittersweet – I went to Munich with my friend Laura, but then said goodbye to my school (tears were shed). This song reminds me of all the kids – one of them, Alejandro, serenaded the whole class on one of the last days. 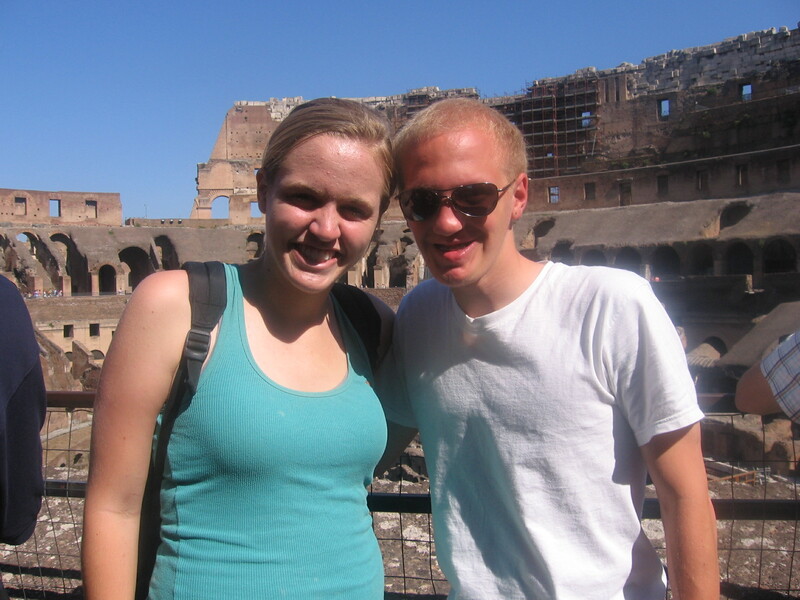 I also hung out with my uncle Casey and my aunt Melinda – and my aunt and I went to Barcelona and took the AVE! 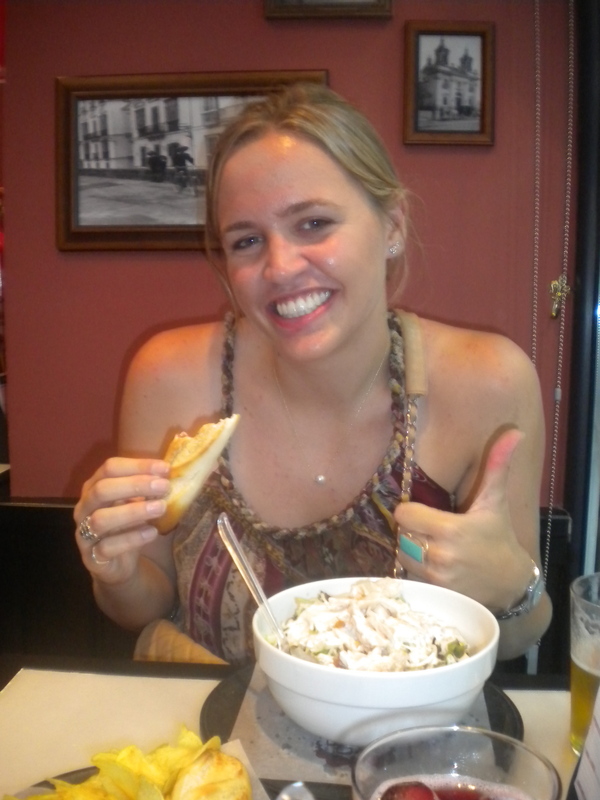 I also headed home to LA at the end of the month (but not before finishing my self-imposed 100 Montaditos challenge!) and I finally entered 2011 and got an iPhone. 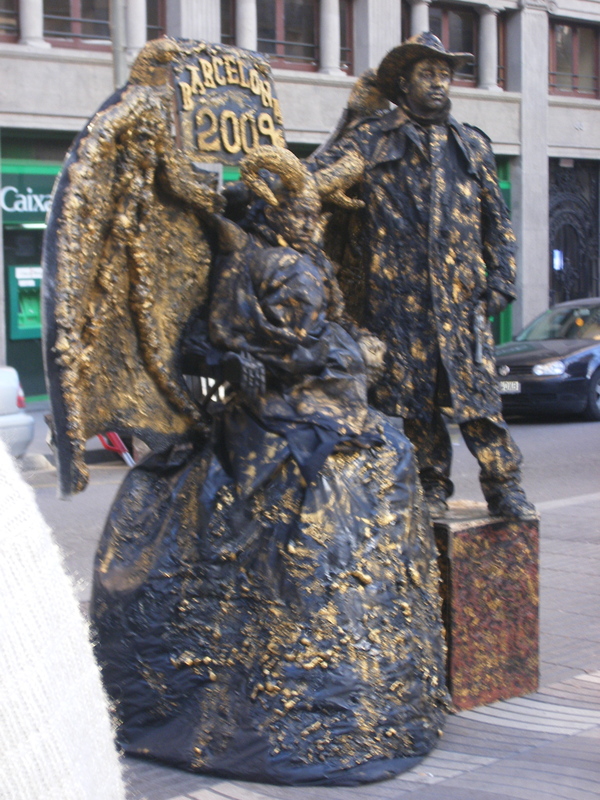 my uncle and me in madrid. The big “headline” for my August was starting law school! August 22 began a 4-month long-grind but I can honestly say I have loved it so far. Beyond that, I also explored my new neighborhood a little bit with visits to Cuvee, Jack n Jills too and Real Food Daily, Father’s Office, Taste, Toast, and more. 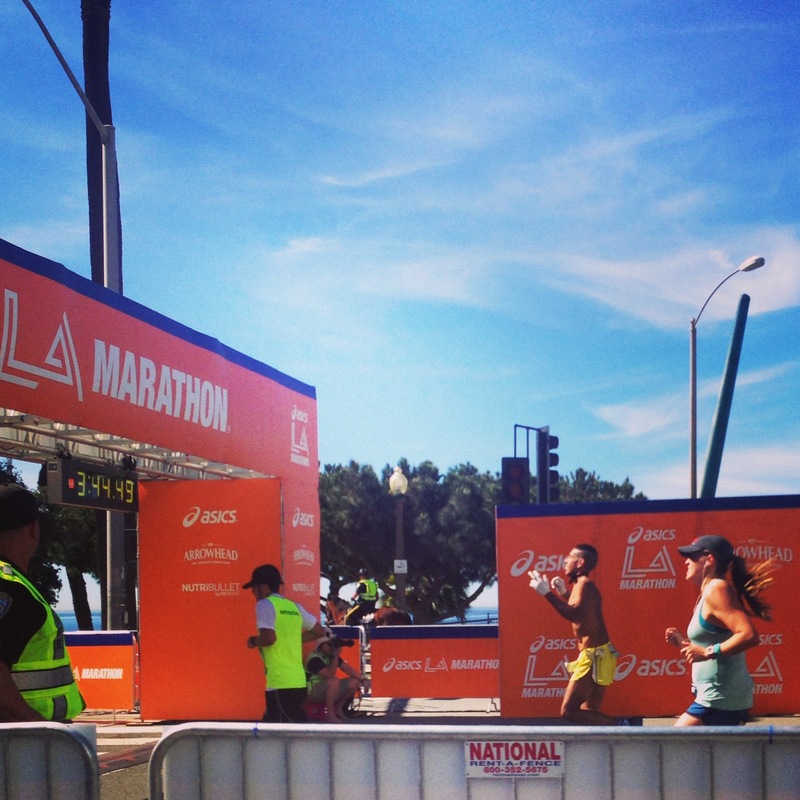 I also began marathon training with the LA Leggers in Santa Monica! This is when the blog officially went from a travel and running blog to a food/beer/running blog. In reality, this song could be August-December because it is that huge an obsession (really I love the whole Watch the Throne album). September involved a lot of school, running, various libraries, lunch at Lemonade and dinner at Gaby’s, and celebrated my Dad’s birthday at home. 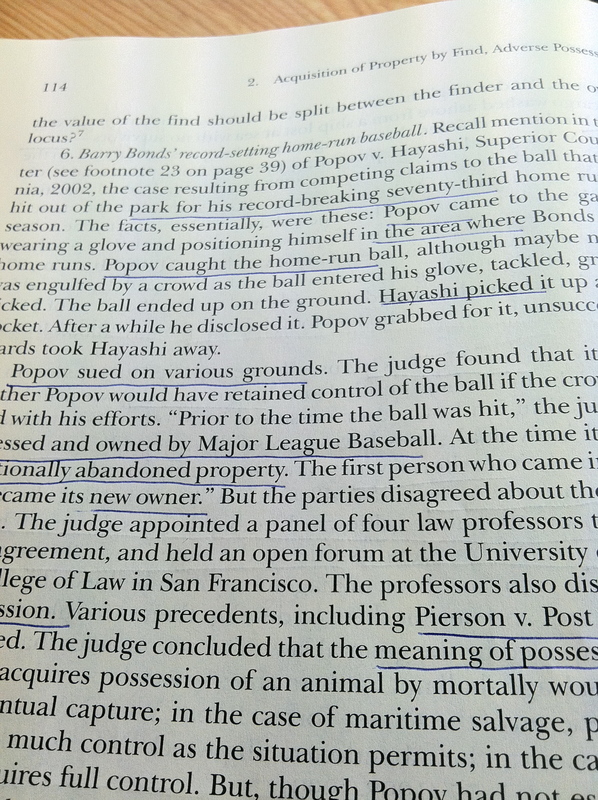 Other highlights include lots of dorky 1L jokes and a ton of case reading. #win! I had to pick this song because it made it onto my half-marathon playlist and is a great running jam (school and running would dominate 10/11). I took my first midterm (Property), celebrated my mom’s birthday with a BOMB dinner at Red O, hiked Runyon Canyon, checked out the WeHo library, and ran the SF Nike Women’s Half (poor race strategy and over-eagerness early on would prevent me from PR-ing #sad). at the race expo. not the most flattering pic but what can you do. And yet again, I picked a song to symbolize the month based on that month’s race playlist. I was the 2nd female overall in the WeSPARK 10k at Universal Studios which was pretty awesome, and I also got a PR by about two seconds. November was largely consumed by school and finals prep, but I managed to see Bill Maher perform, enjoy dinner at Tart, and have Thanksgiving at home and run a fun 5k locally with some old high school friends and teammates (no PR this time, I will never again see my 5k PR – hah). It wasn’t even intentional that my boy Drizzy Drake bookended my year…this song is epic and I blared it on repeat while I was studying (as much as you can blare a song while wearing headphones in the library, but whatever). In December I studied for 3 weeks straight and had multiple law school dreams, and injured my knee early in the month forcing me to pull back from my marathon training and cozy up to my local PT. 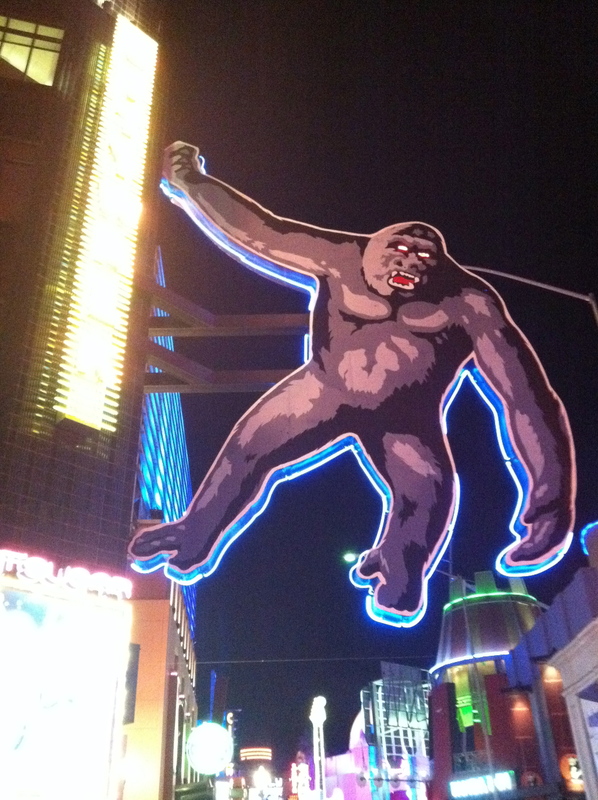 The knee is stronger and finals are over, allowing me some time to fit in Christmas with my family, a trip to Vegas, and of course plenty of time to explore new LA eateries. 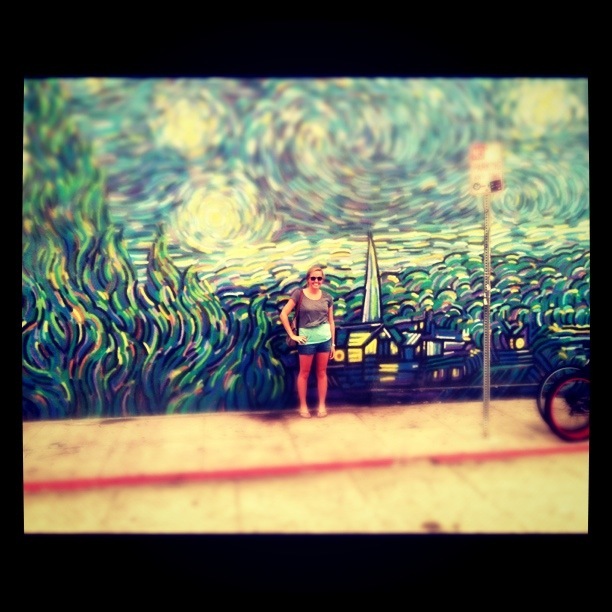 It feels great to be back off blogging hiatus! 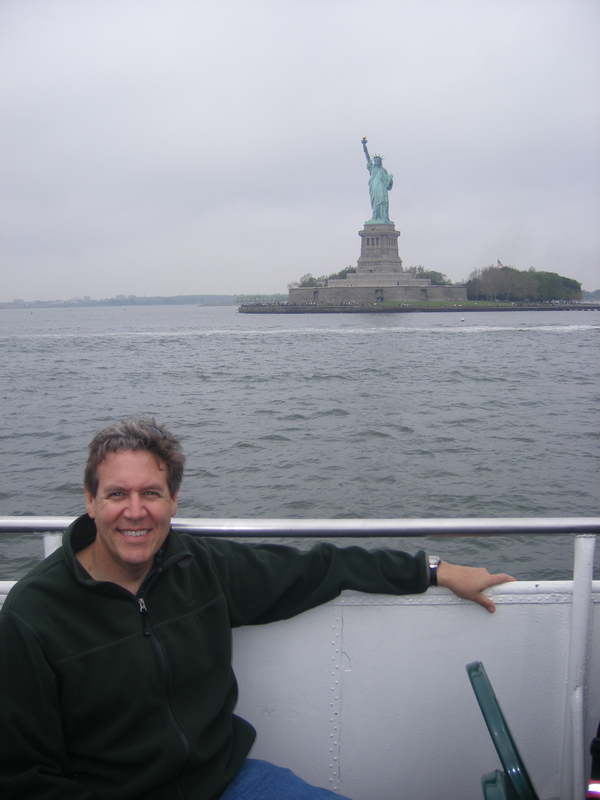 Thank you to all of my readers and commenters – this year I really got into blogging and am excited to leap ahead into 2012 with you all! 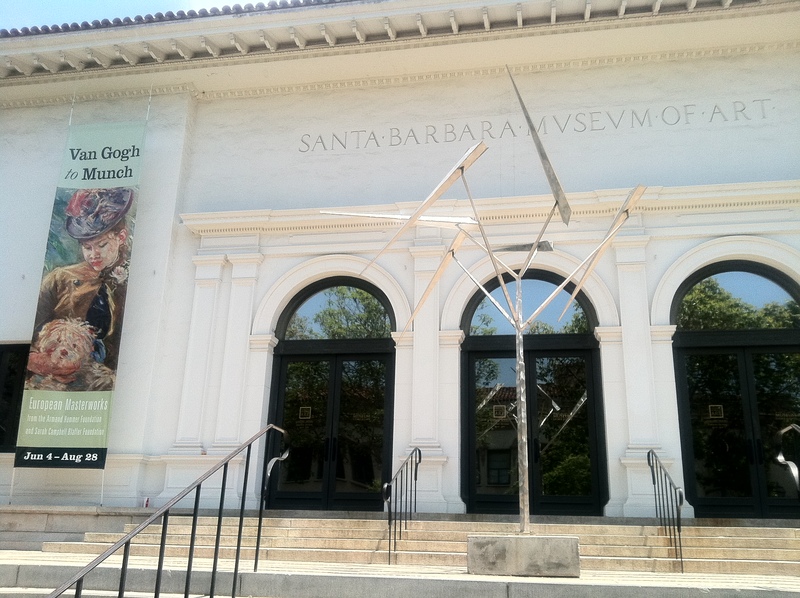 Last Saturday, my mom and I spent the afternoon on Santa Barbara’s uber-charming State Street – our first stop was Santa Barbara’s Museum of Art. We’d never been before and were overwhelmed by how much we loved the collections – even though it was a relatively small one! The visting collection is “Van Gogh to Munch” through August 28th – and it featured some pretty stunning works by many big-name impressionists. That wasn’t the only cool collection though – in the other rooms I spotted many of my favorite artists. 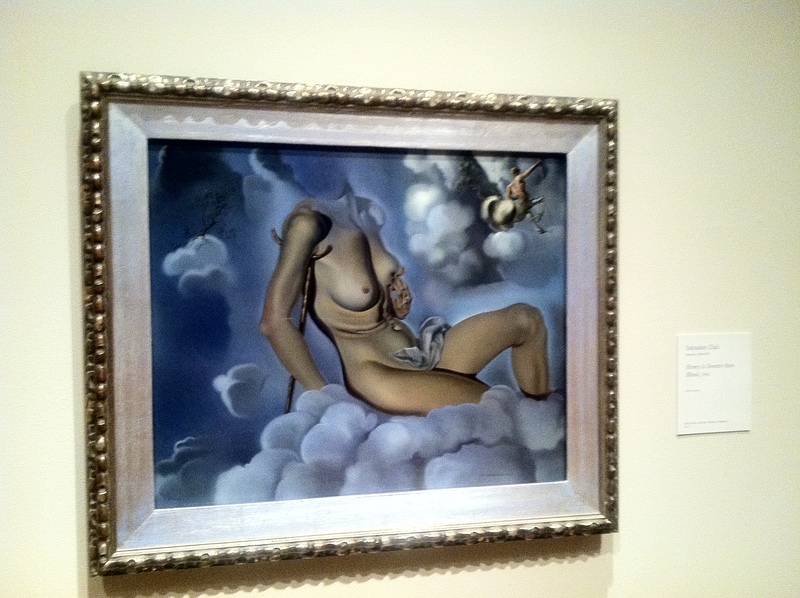 I’ve had a fascination with Dalí since I went to Madrid’s Reina Sofia museum for the first time in 2009, and again when I checked out the Dalí museum in Figueres, Catalunya, Spain. So glad this little museum in SB had something of his! I love how quirky and wacky Dalí is – and how is technique is so uniquely his. 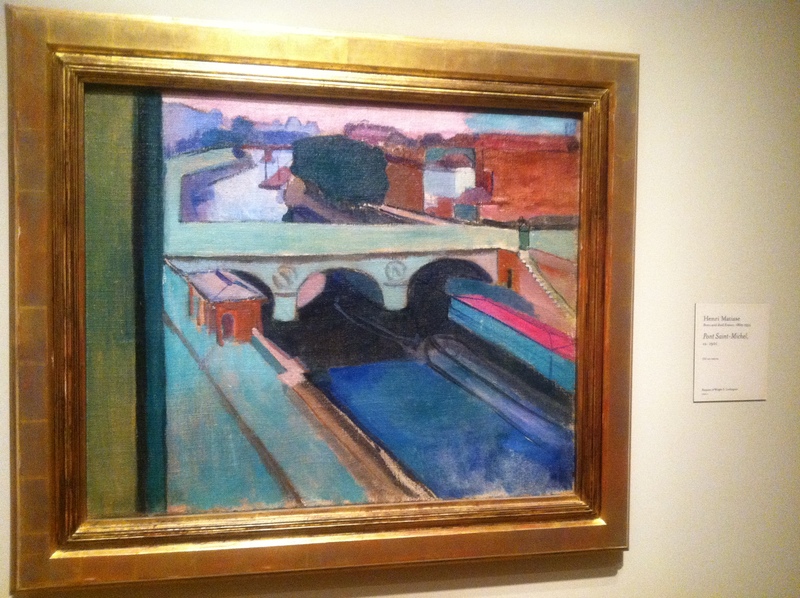 I loved the colors in this work by Matisse. The Ori Gersht exhibit (through September 4th) was cool and unique. 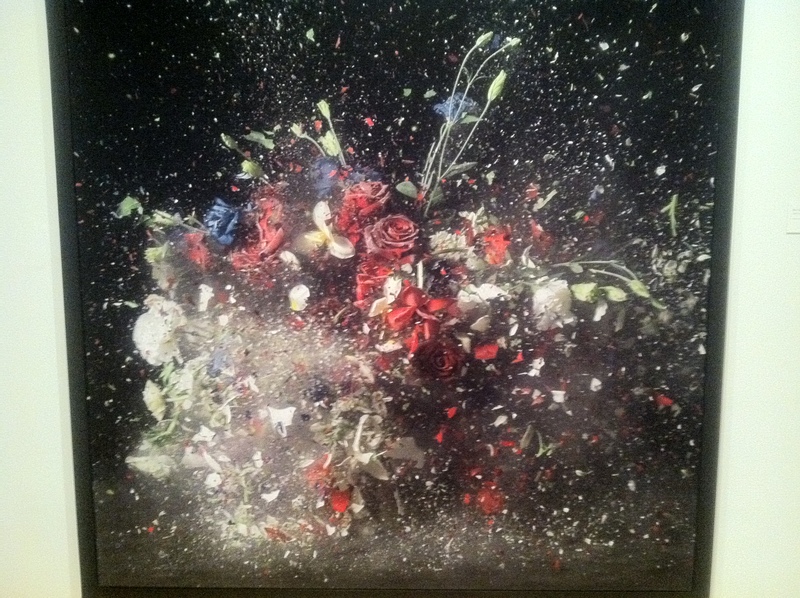 It’s cool to see where modern art is at currently – and this flower explosion was so innovative technique-wise. It’s hard to believe this was basically a photograph! 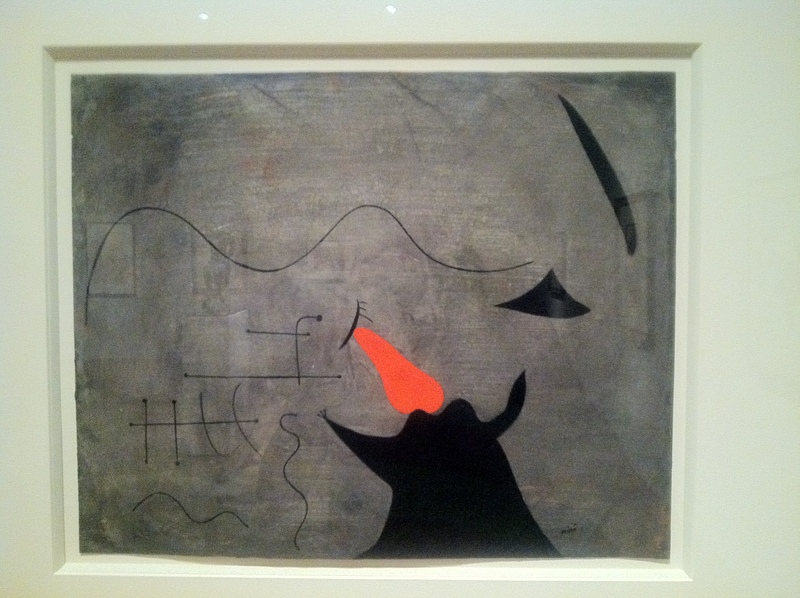 Joan Miró work, part of the "Drawn to Modernism" collection. 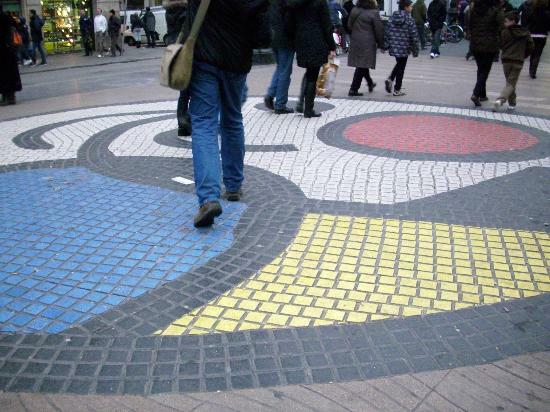 Like Dalí, I developed a Miró fascination when I first saw his works in Madrid’s Reina Sofia museum, and then again when I saw more of his stuff scattered throughout the city of Barcelona (like his mosaics at the BCN airport, the statue at the Tarragona metro stop, and the walk-over piece on Las Ramblas). Miró is all over Catalunya – you can spot more of his stuff in Mallorca (featured in this week’s NYT article) and there’s a whole museum devoted to him in Barcelona. Again, I was so happy to spot this piece so close to home! 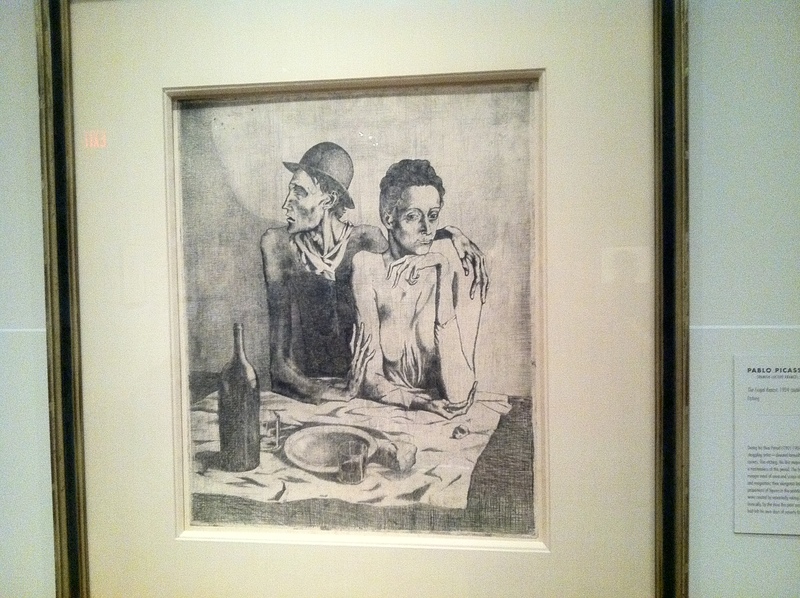 Pablo Picasso is my favorite artist – and there were more than just these two pieces here! I loved the whimsy of the first piece, and I had learned about the second one during a course I took on Contemporary Art in Barcelona – and it focuses on Picasso’s fascination with the under-belly of society at this time. 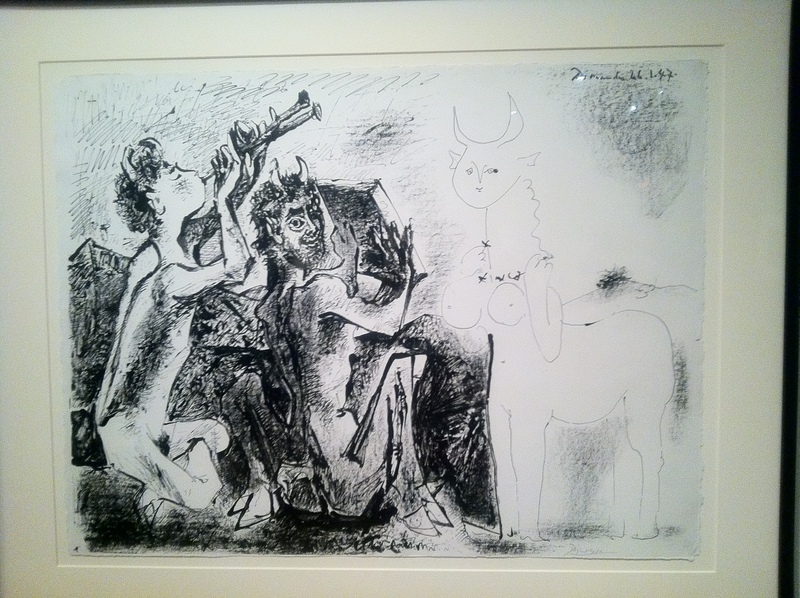 My obsession with Picasso came to fruition recently during my visit to Barcelona’s Picasso museum. 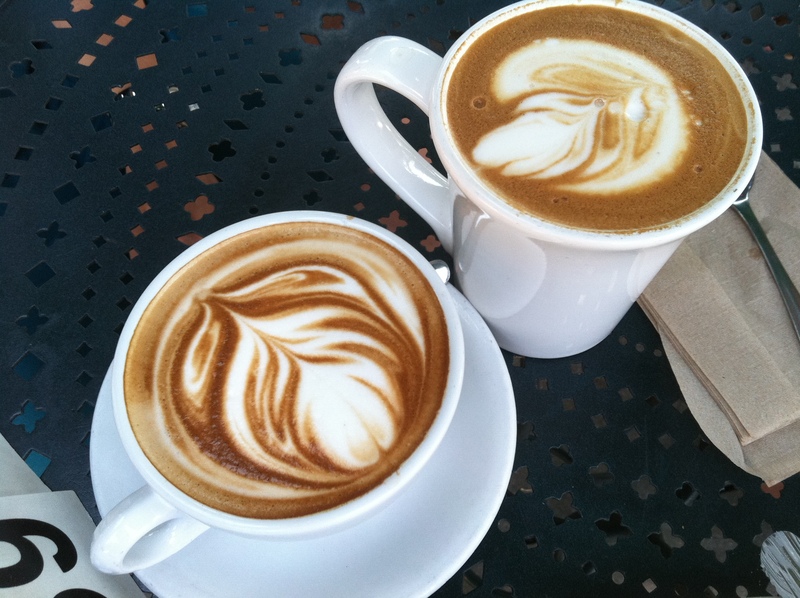 After checking out the museum, my mom and I headed across the street to our favorite restaurant in Santa Barbara – Arts & Letters Cafe – an adorable café with seating on the patio of an art gallery. The last time I went I was beyond impressed by their Portabello mushroom sandwich – so this time I was stoked to see what else A&L had up their sleeve! 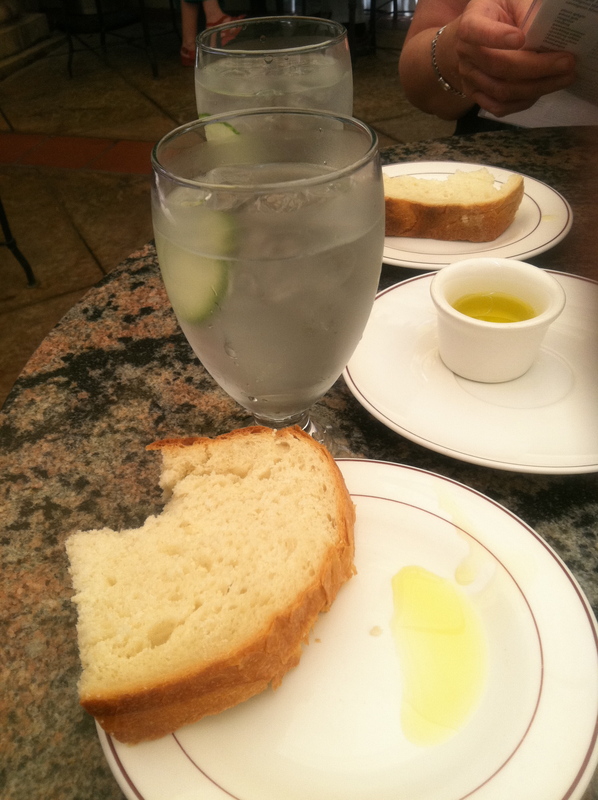 bread + olive oil with cucumber water at Arts & Letters. tyler salad. 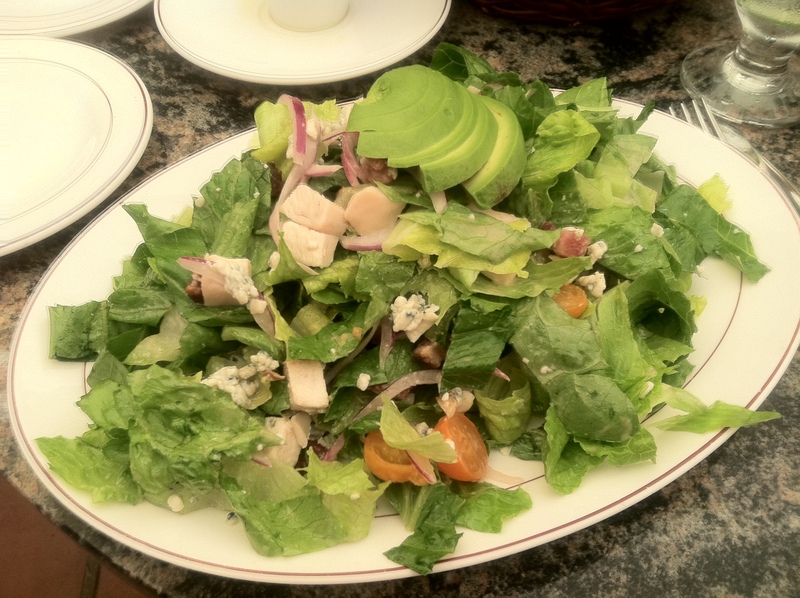 grilled chicken breast, romaine lettuce, bacon, blue cheese, avocado, and tomato with café vinaigrette. This place is incredible. If you’re EVER in Santa Barbara, you need to go here! (My mom’s crab cake sandwich and pumpkin soup was equally incredible). We shopped a bit on State St. and popped into Starbucks before heading home! I lived dangerously and took my friend Amanda’s suggestion to try the new “Very Berry Hibiscus” refresher. I’m a Starbucks supporter – but normally choose coffee (and caffeine). I mean, why not? Last summer I got into their iced tea lemonades, if for no other reason than ordering a “Green Tea Lemonade” forces the barista to write “GTL” on the cup. Fist pump! This refresher was good, but I’ll probably stick to drinks with more caffeine in the future – but it was definitely refreshing and the real fruit was a good touch. 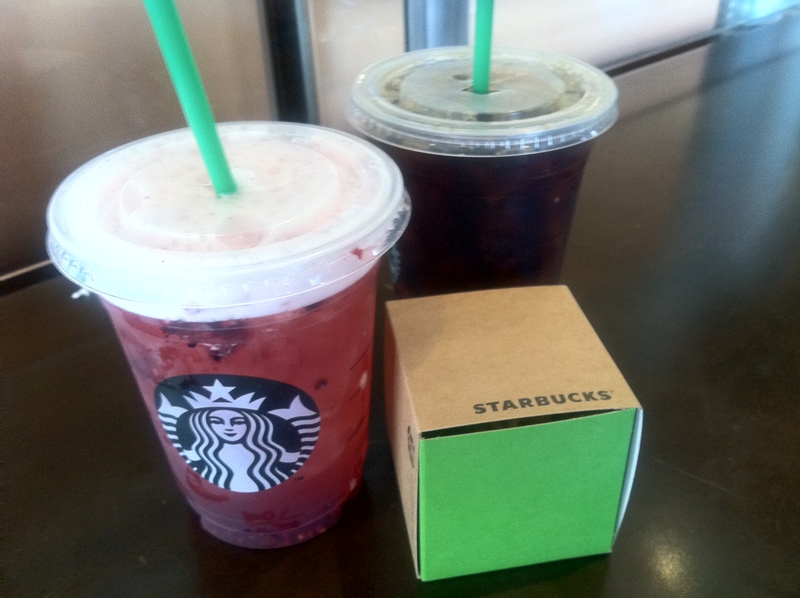 my very berry hibiscus refresher, my mom's iced coffee, and our cute cupcake box. 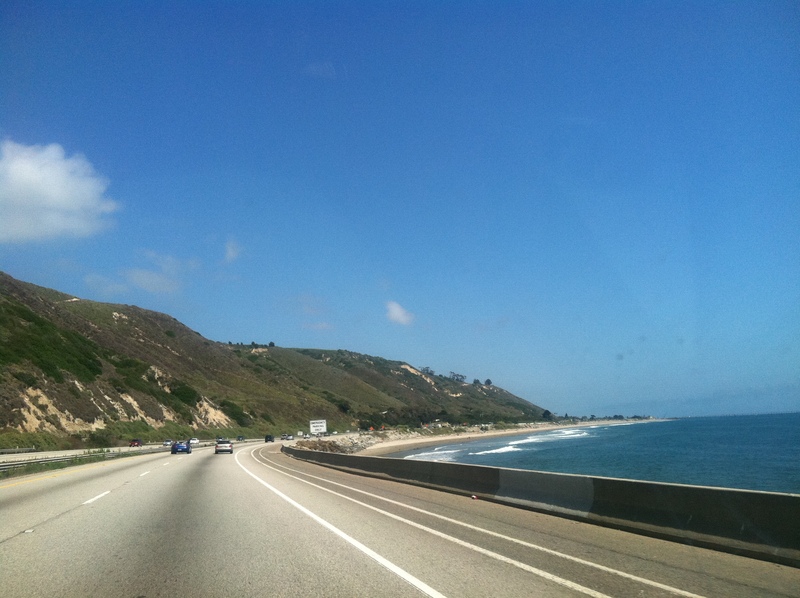 We zipped home along the 101 quickly…thank you, Carmageddon! view from the ride home. 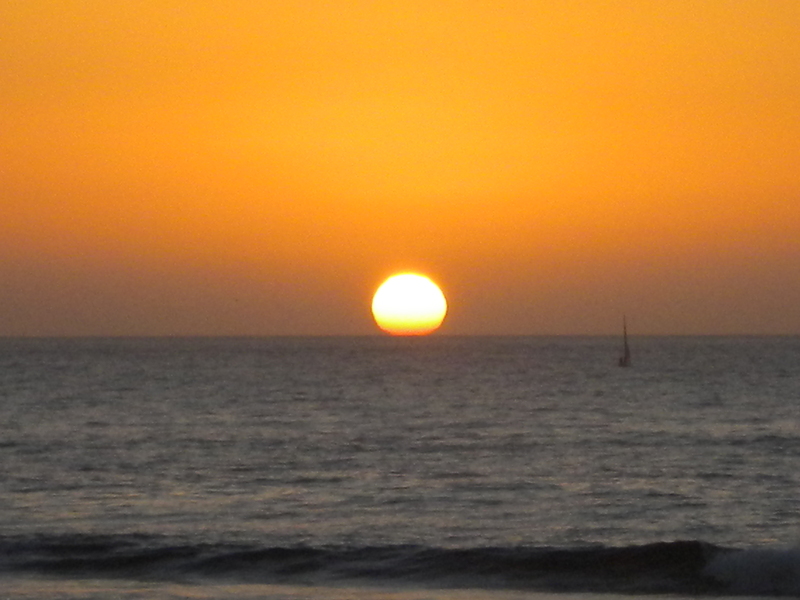 What’s everyone’s favorite thing to do in Santa Barbara? Orrrrr what’s your favorite art museum?? 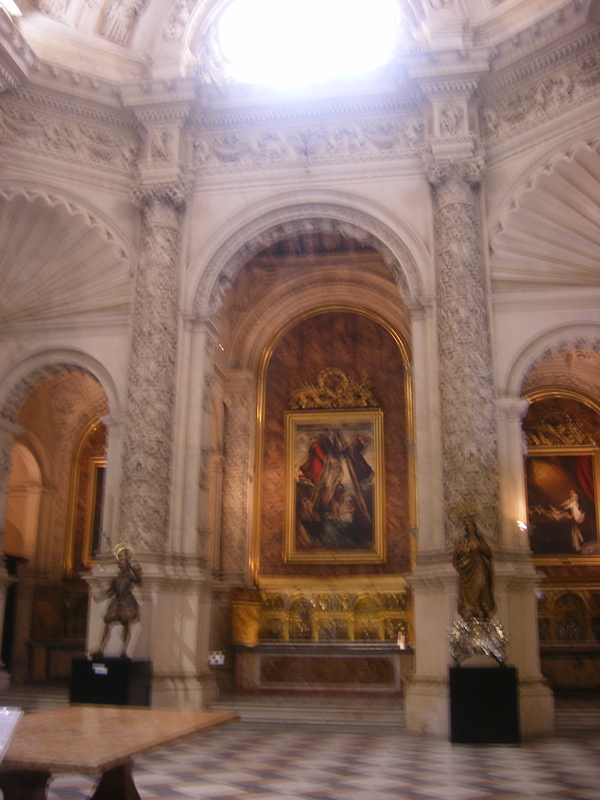 At 11:00 am local time, I will be leaving Madrid to begin the journey back to California. 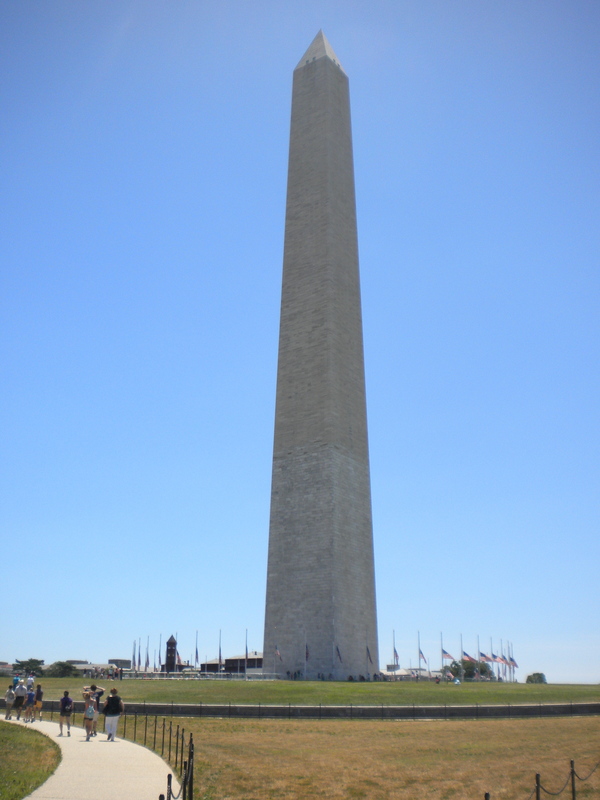 With a quick stop in DC, I’ll land at LAX a little bit before 7 pm, Pacific Time. While I’m sure the flight will be long, I’m looking forward to doing three things immediately when I get back: seeing my family and friends, getting my hands on my new iPhone, and eating my first meal back (which will be a Wood Ranch Tri Tip Salad, fyi). I’ve had a great experience in Madrid: made new friends, picked up some solid Spanish slang, had a great time at my job, traveled to a ton of cool places, and learned a new city. 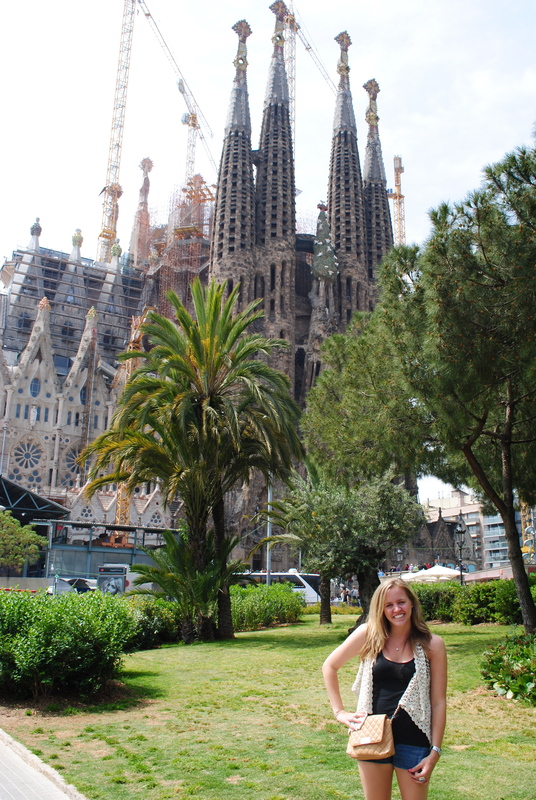 While I’m undeniably sad to leave Spain, I’m looking forward to a southern California summer…and starting law school. 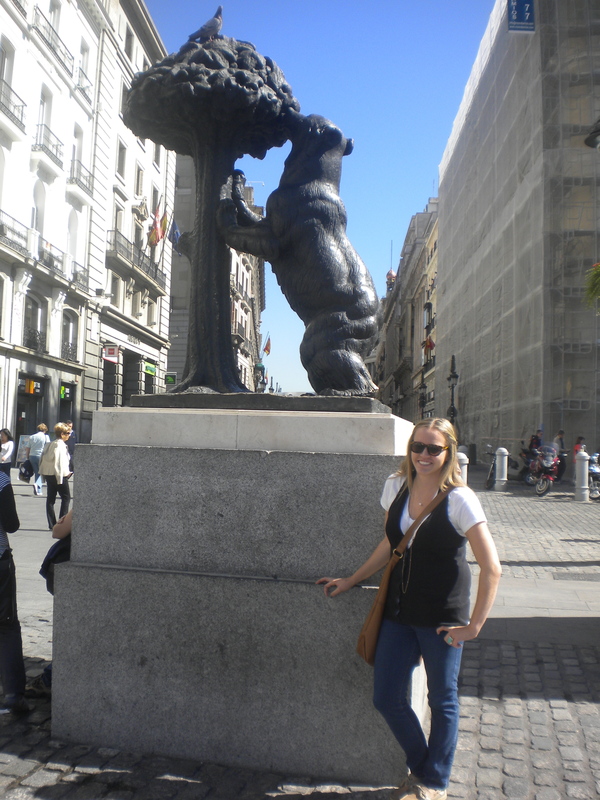 It’s been a fun 9 months, Madrid, echaré de menos! an A- in 100 Montaditos. 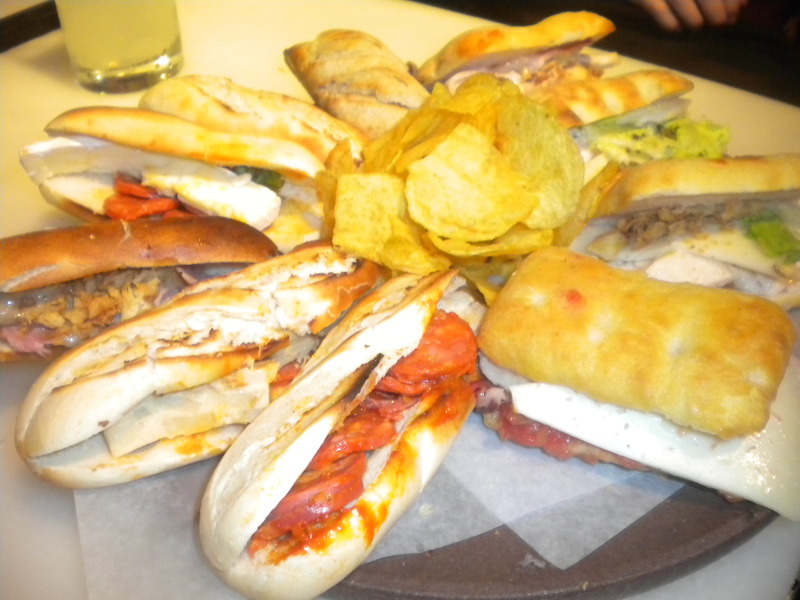 For those of you who have followed my 100 Montaditos challenge – here’s the final score. While I didn’t make it ALL the way through the menu (100 mini sandwiches), I still managed to get an A-. That’s right, I have tried 90 of those 100 bad boys. I loved most of them, liked a lot of them, and disliked only a couple, and the remaining ten are ones I would be least likely to enjoy. What were numbers 89 and 90? Well, they were #60 – Tuna with Natural Tomato and Anchovy (I picked off the anchovy because, well, I don’t really like them!) and #47 – Duck Paté with Berry Jelly. This one was surprisingly good. The idea of paté weirds me out, but the combination with the sweet jelly was delicious! 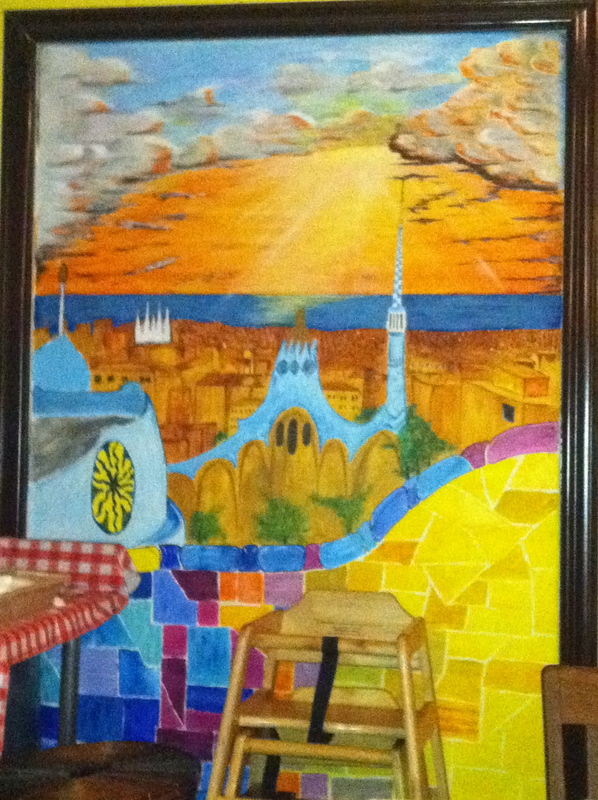 Bebida – I personally recommend the jarra de cerveza (with any sandwich it’s ONE euro for a large beer). Sometimes I mix things up and order a clara (half beer, half lemon soda) or a tinto de verano (like sangria, but fizzy). Salad – The Ensalada César is delicious and hard to go wrong for 3,90 euro (and only 2 euros on Wednesdays). It’s hard to find a good salad in Spain, let alone a Ceasar salad! 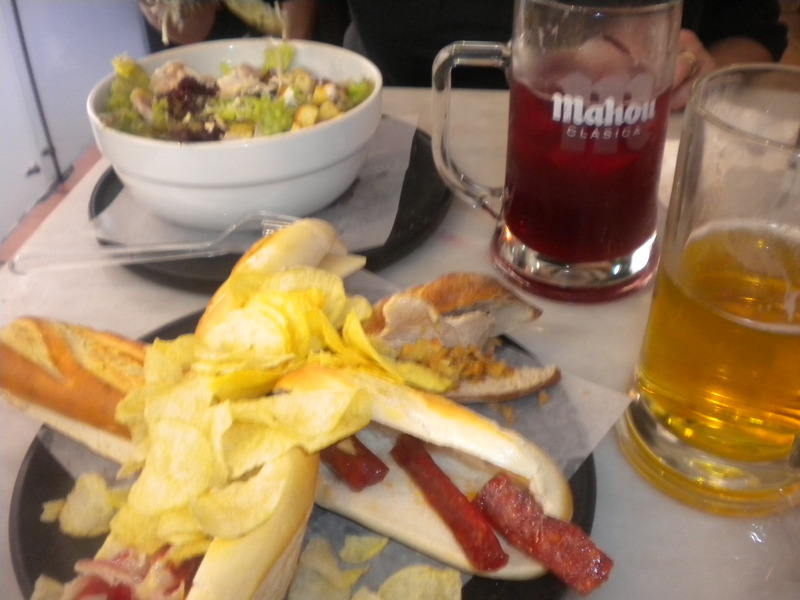 some montaditos, tinto de verano, a jarra de cerveza, and the ensalada césar. 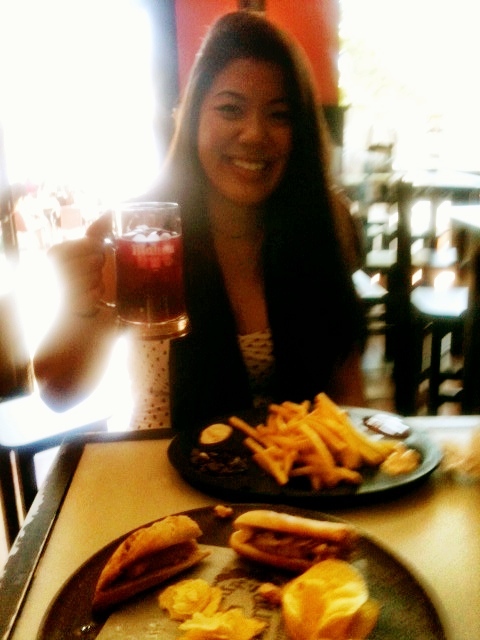 And then, what really matter: my favorite montaditos! #70 – Pollo Asado con Salmorejo (Grilled Chicken with a gazpacho-like sauce from Córdoba). Bomb.com. #80 – Lomo al ajillo con mojo picón y cebolla crujiente (Pork loin with chopped garlic, picón sauce, and crunchy onion). Does that not SOUND delicious? #90 – César – Pollo asado con salsa césar, lechuga, queso ibérico, y cebolla crujiente. 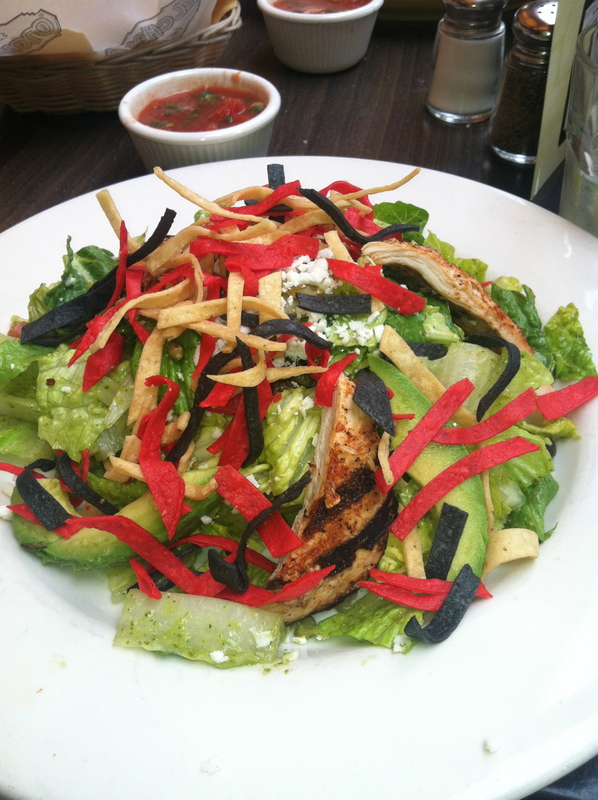 (Grilled chicken with ceasar dressing, lettuce, Spanish cheese, and crunchy onion). #95 – Barbacoa – Pollo asado, bacon, queso cheddar, cebolla crujiente, y salsa barbacoa. (Grilled chicken, bacon, cheddar cheese, crunchy onion, and barbecue sauce). my roommate Alia and I sipping on some claras. 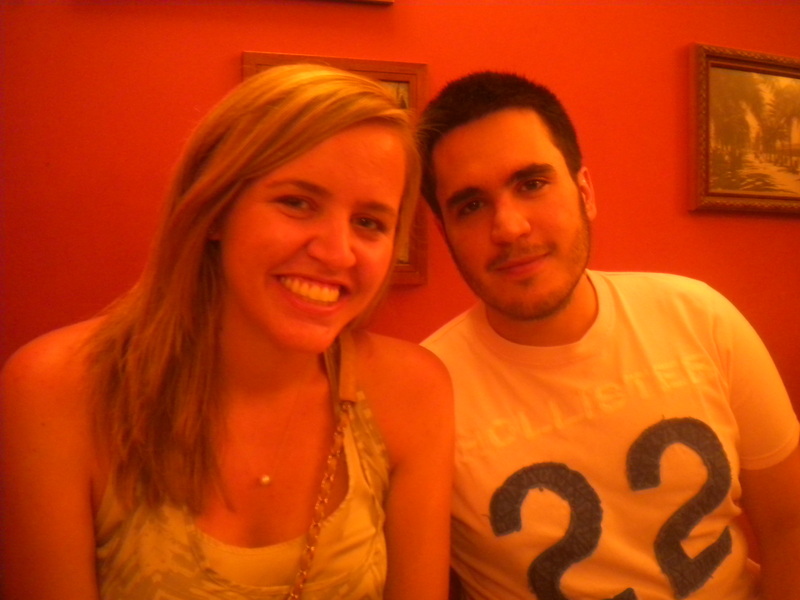 our friend Alejandro and I at Cien...where else would we be? 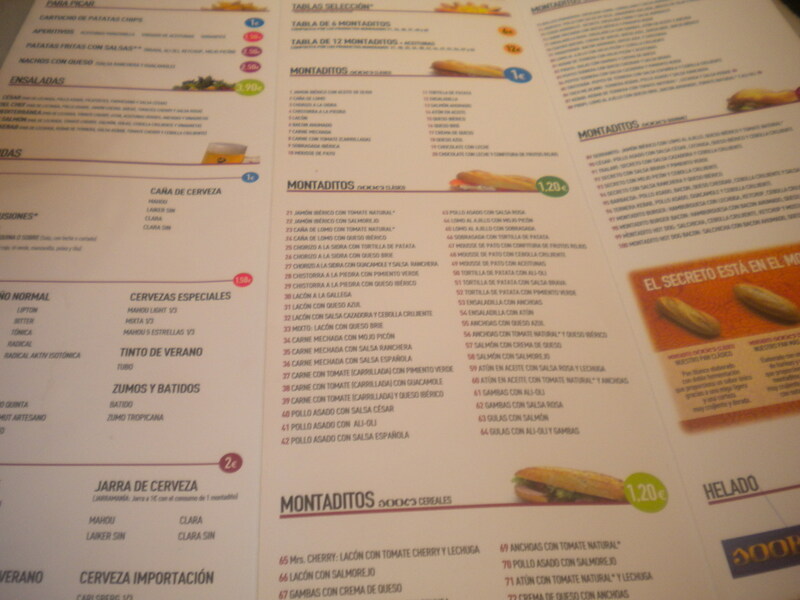 …and the 10 montaditos that have yet to be tried? You may notice a trend – I’m not wild about the idea of paté, anchovies, or cream cheese. I’ve never liked cream cheese, the consistency weirds me out. (On bagels I put butter or peanut butter, I know that question would follow). 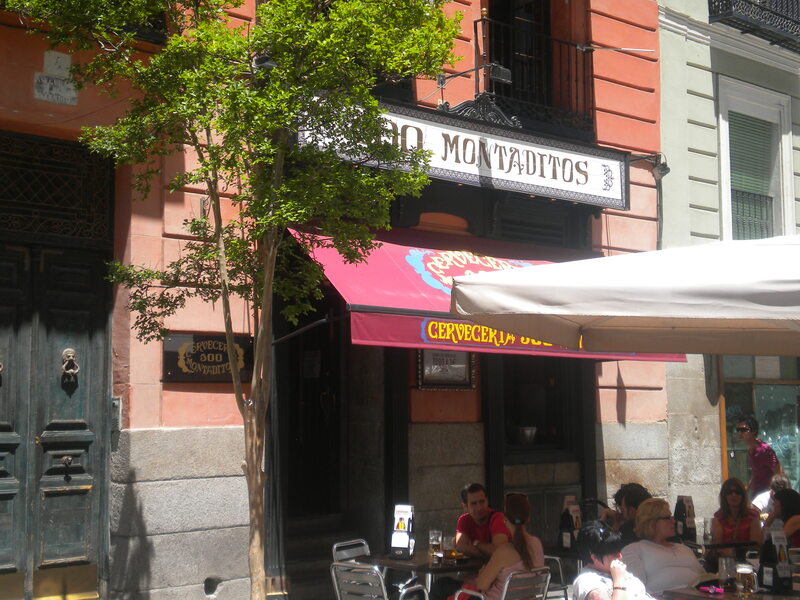 If you’re heading to Madrid, go to 100 Montaditos – my favorite (and convenient locations) are near the Palace (Metro: Ópera), at Plaza Santa Ana (Metro: Sol or Sevilla) and on Calle Montera (Metro: Gran Via). 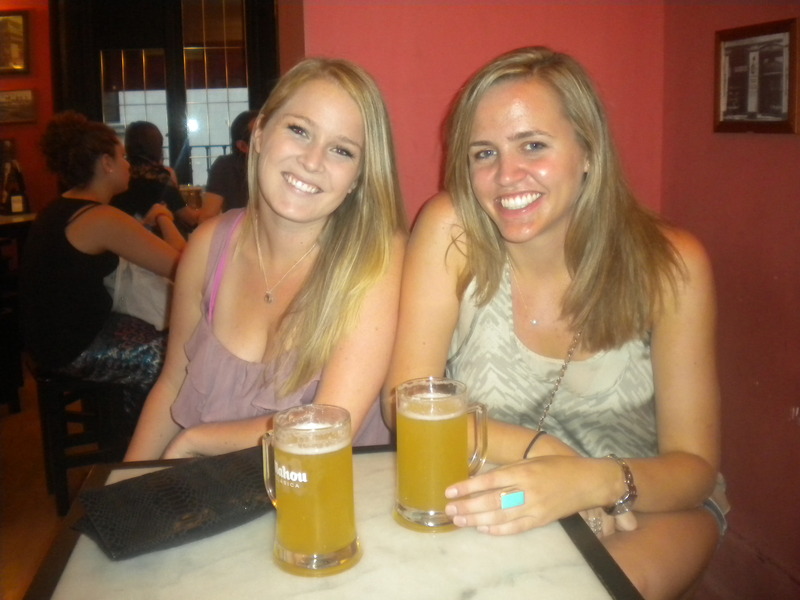 Tonight is my last night in Madrid and my friends will be indulging me in one last trip to “cien” as we call it. We’ll be going to my favorite one (Plaza Santa Ana) and I’m officially hanging my hat on the challenge so I can order a couple of my very favorite sandwiches. plaza santa ana + the cien menu. basically sums me up. This place is awesome and I am lucky I found out about it – it will be the single restaurant I’ll miss most when I am back in the states…but since there’s a Miami location it’ll only be a matter of time before I have a new list of 100 to try! Have you ever been to a Cervecería 100 Montaditos? Is my obsession ridiculous or warranted? Or have you ever tried to sample everything on the menu somewhere else?